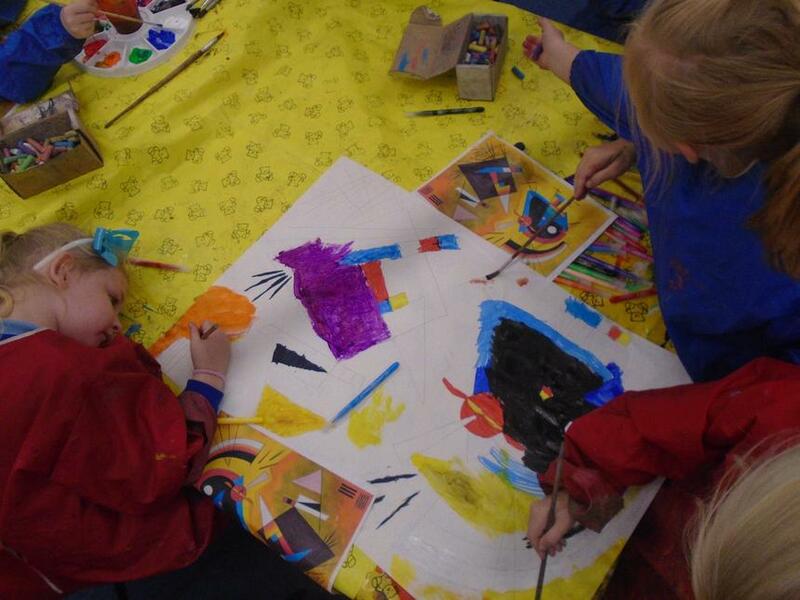 At Priestsic, we develop children’s skills by recording what they have experienced and imagined. 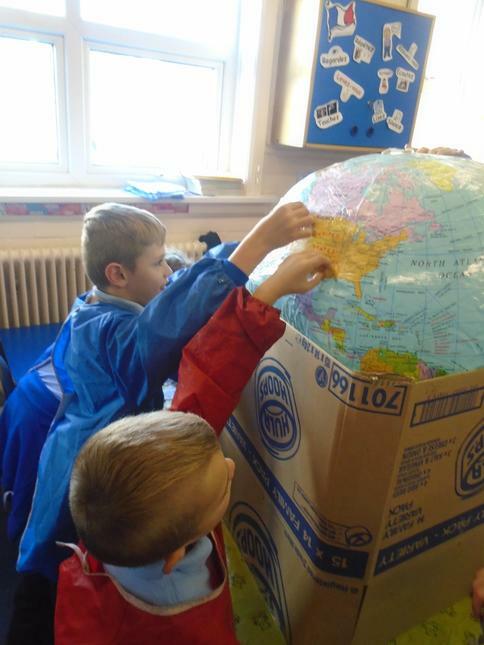 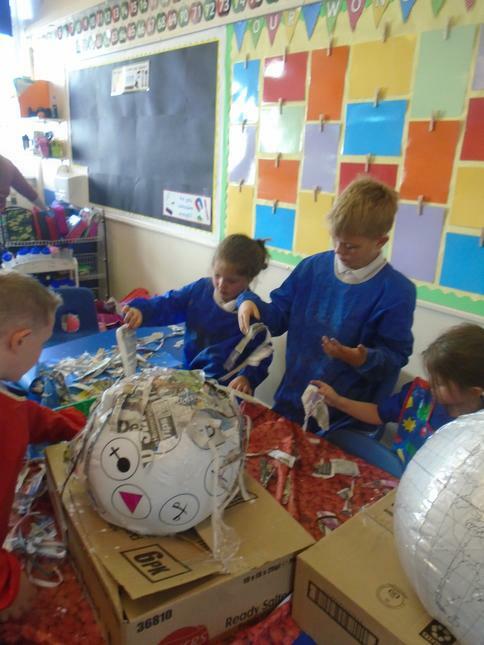 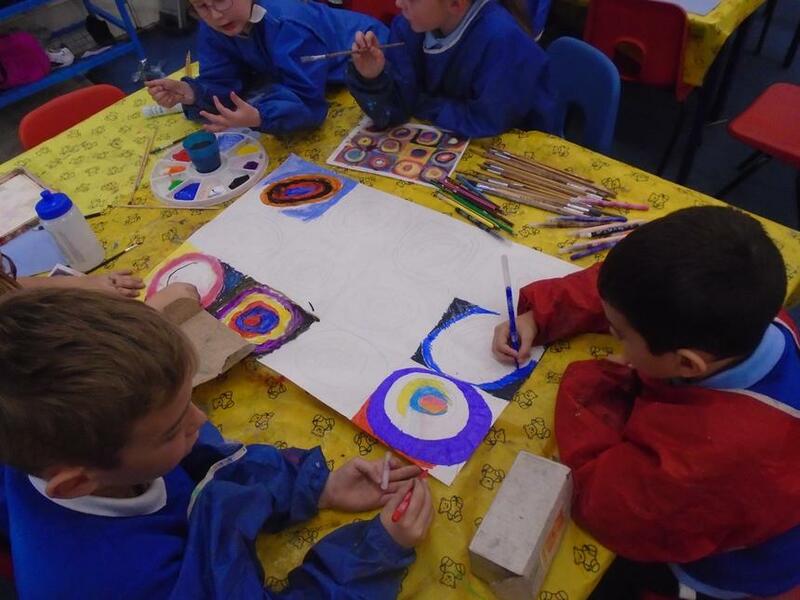 We do this using a range of materials, whilst looking at various artists linked to our Learning Challenge Topics. 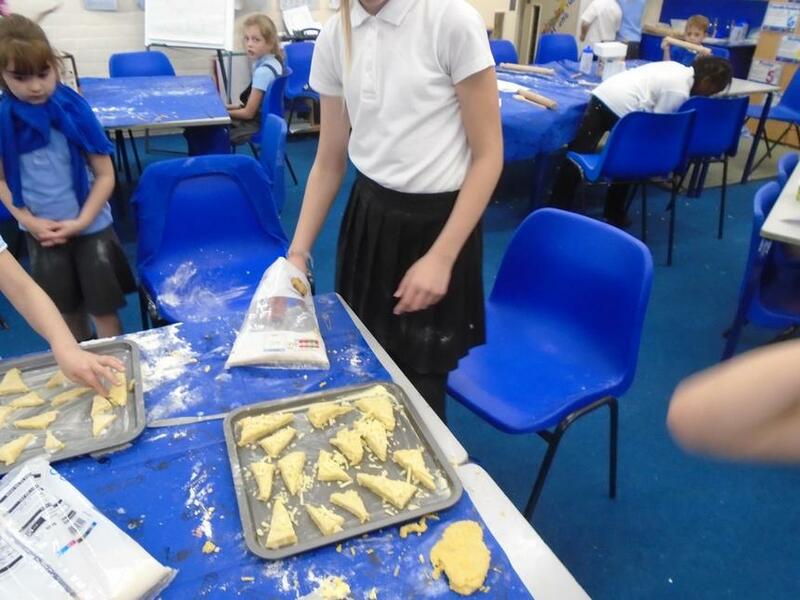 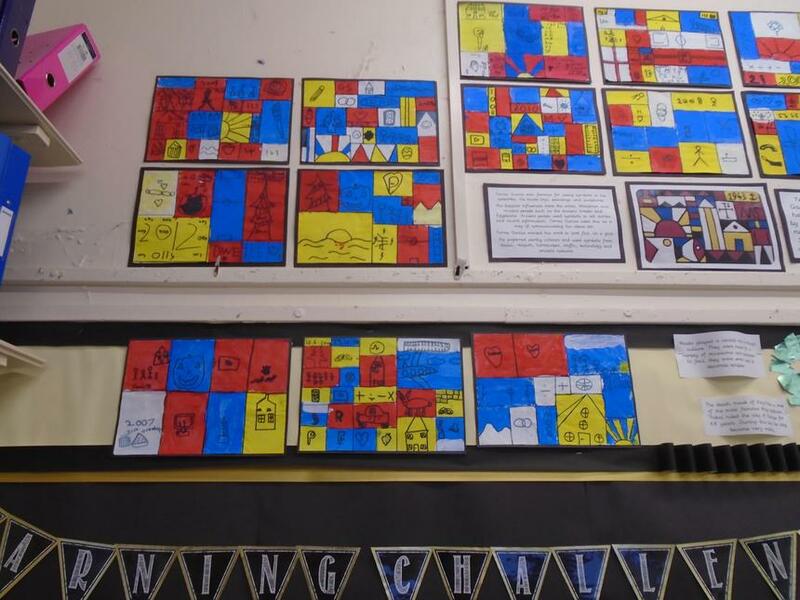 Our Learning Challenge curriculum allows Art to be taught alongside Maths, English and other foundation subjects by incorporating cross curricular topics. 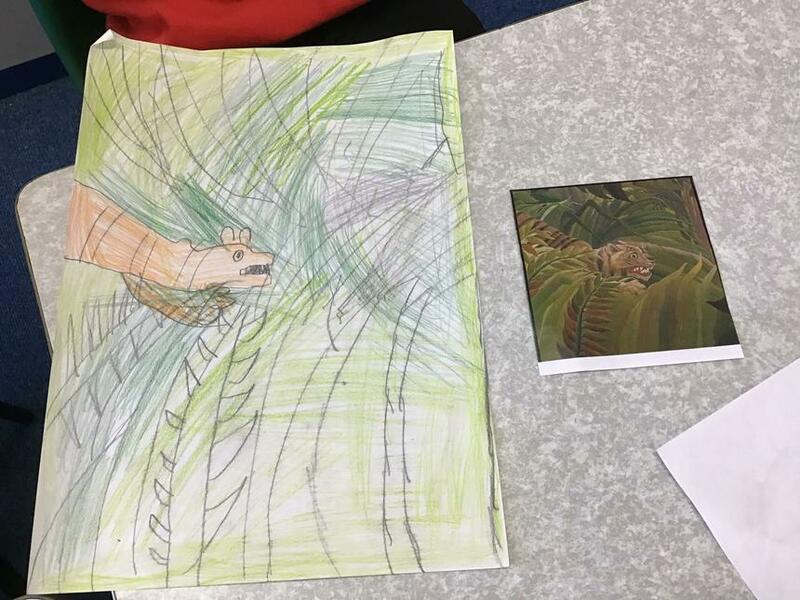 Year 5 have been recreating Tiger in a Tropical Storm by Henri Rousseau in groups. 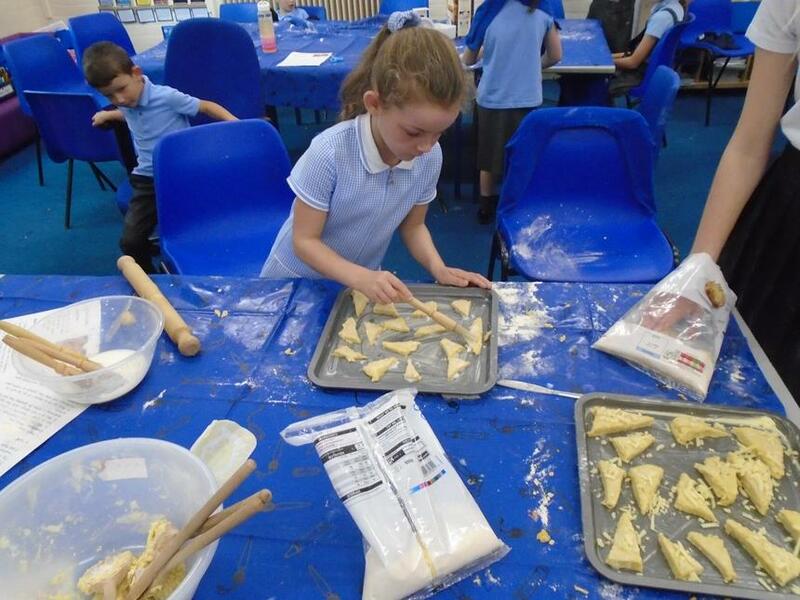 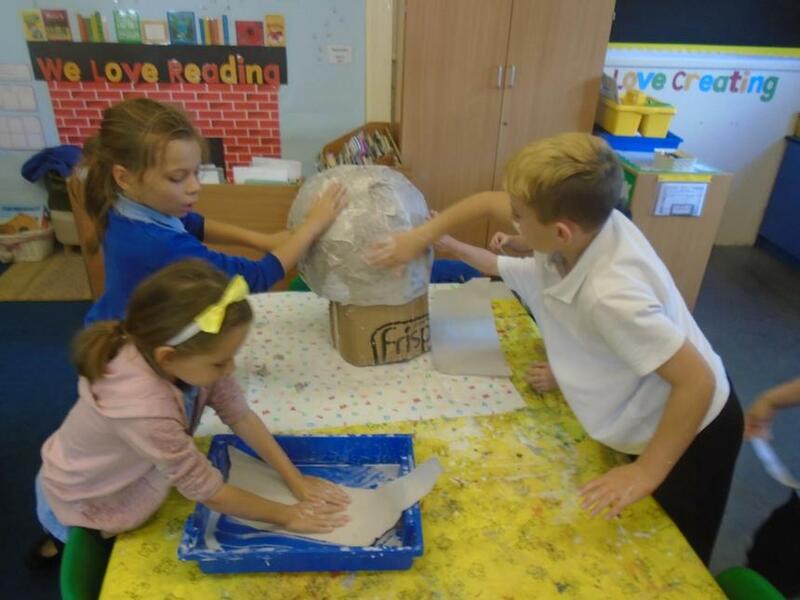 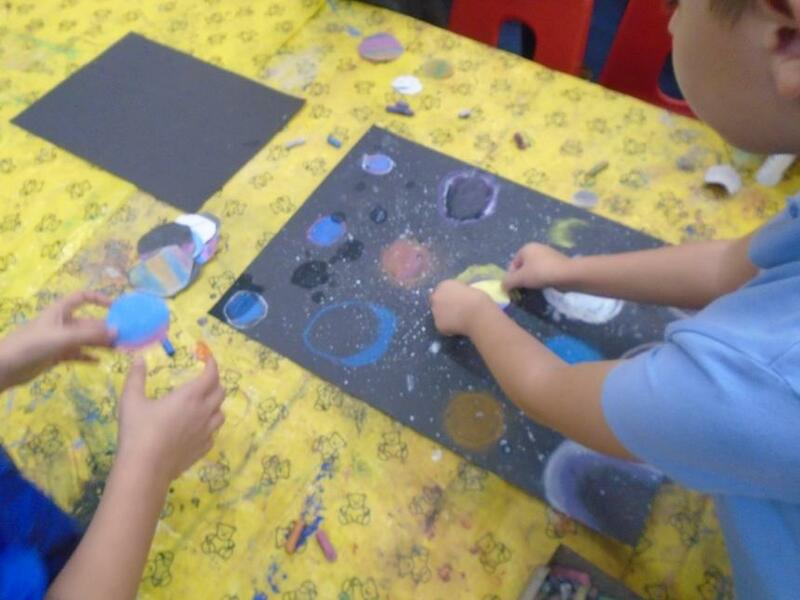 Year 1 had fun in Art creating Victorian wallpaper in the style of William Morris using polystyrene tiles and printing technique. 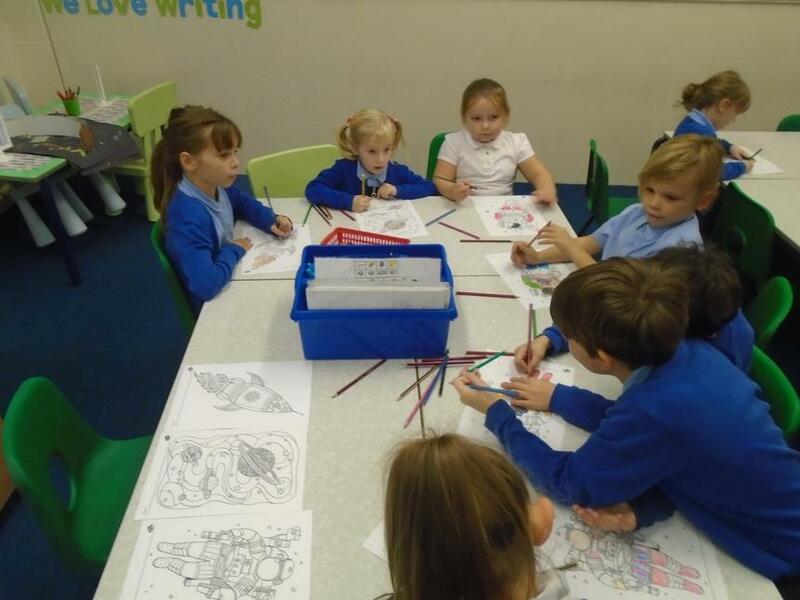 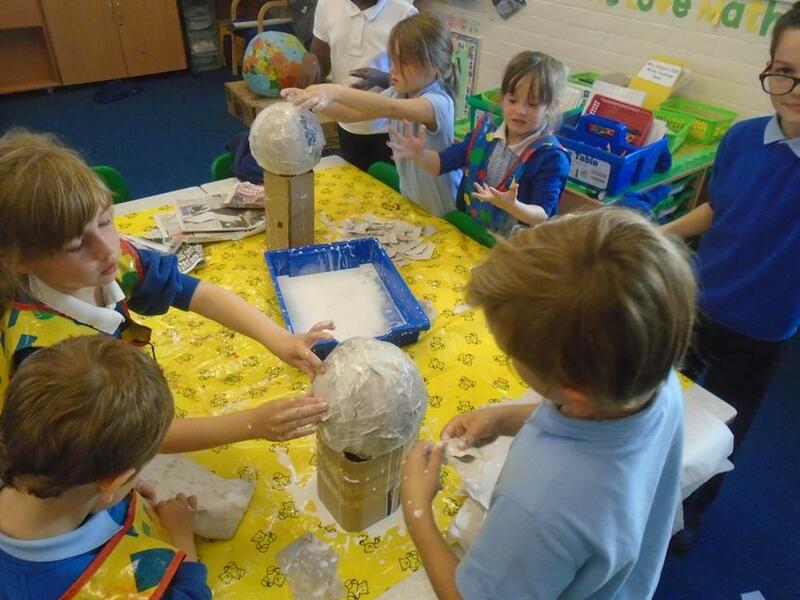 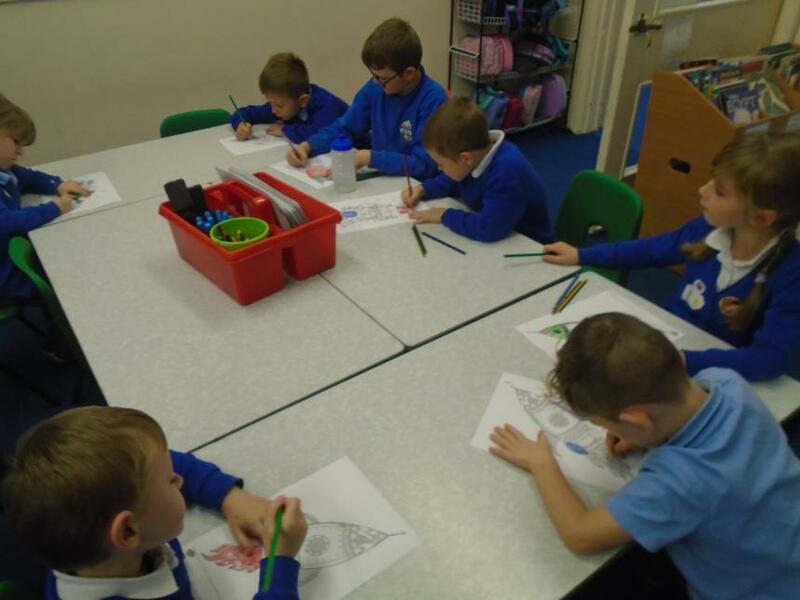 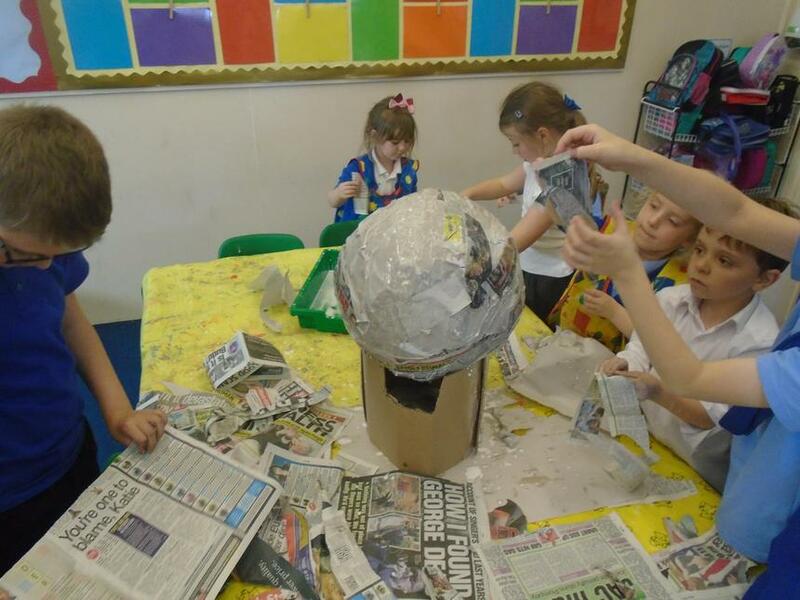 Year 1 used a variety of media to create self-portraits. 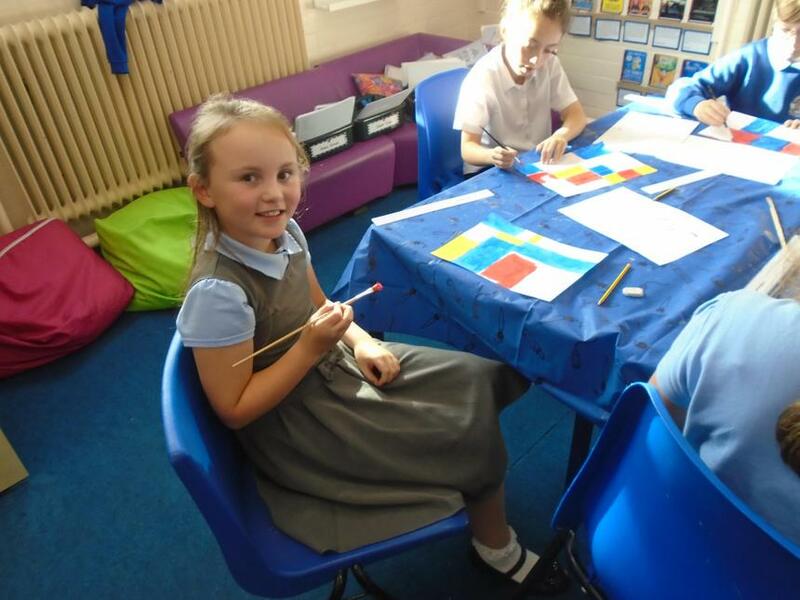 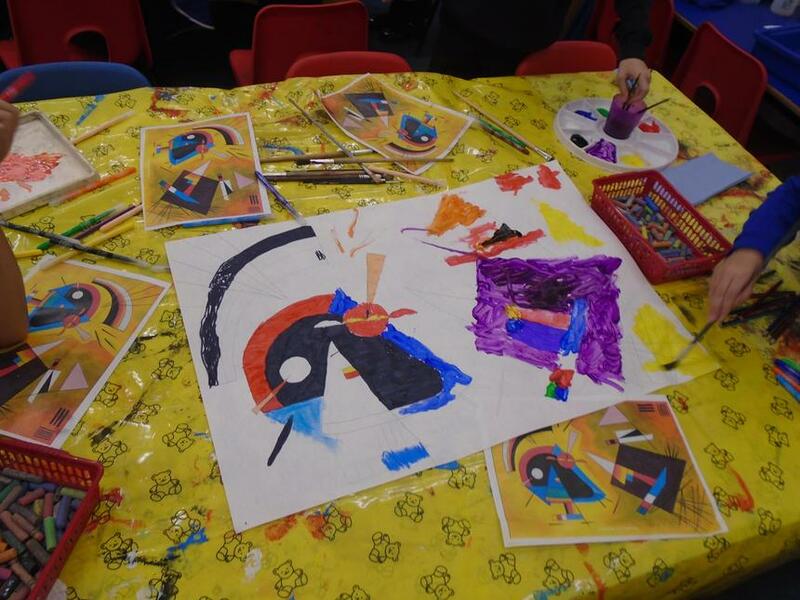 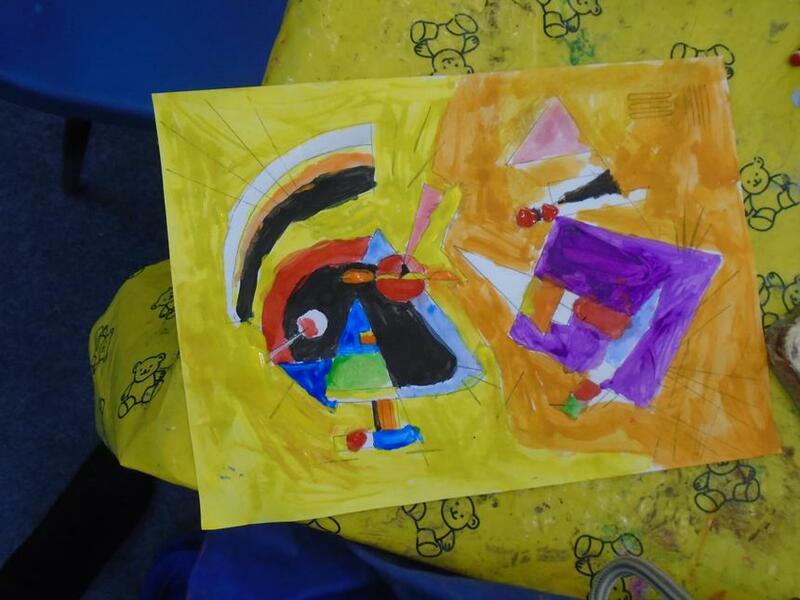 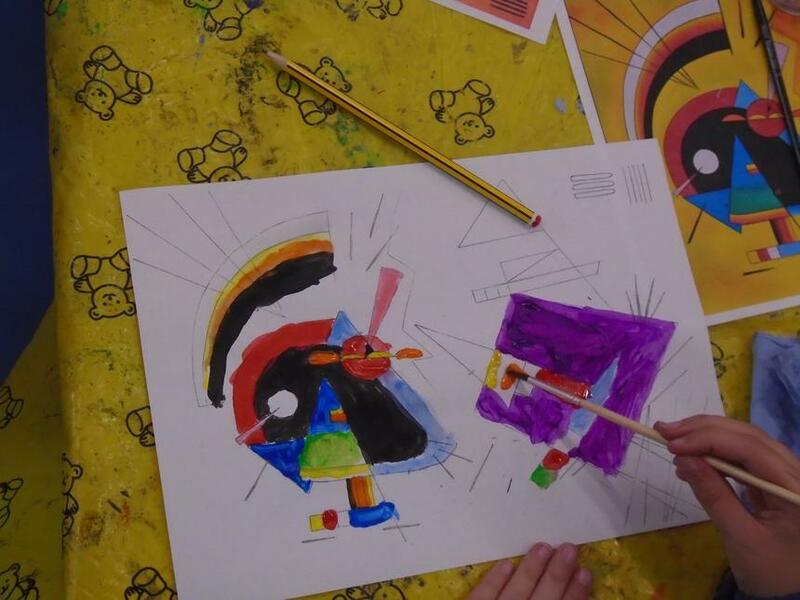 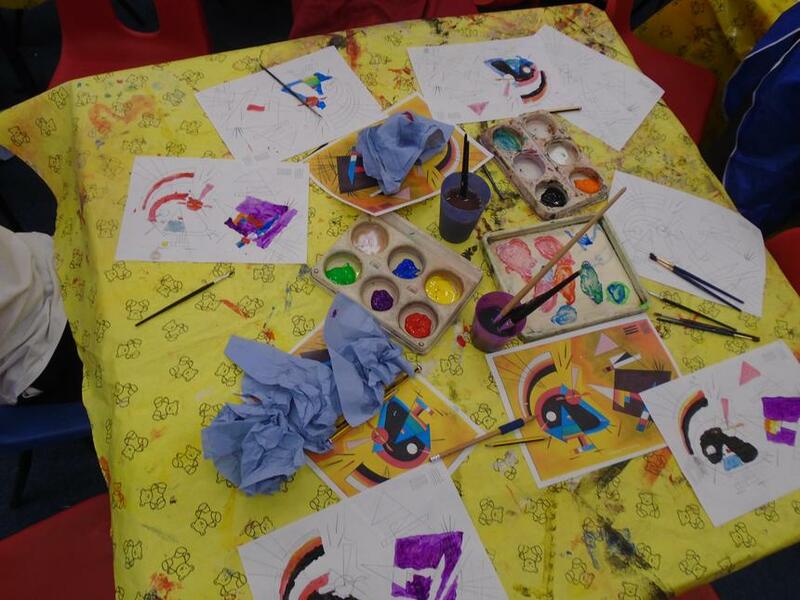 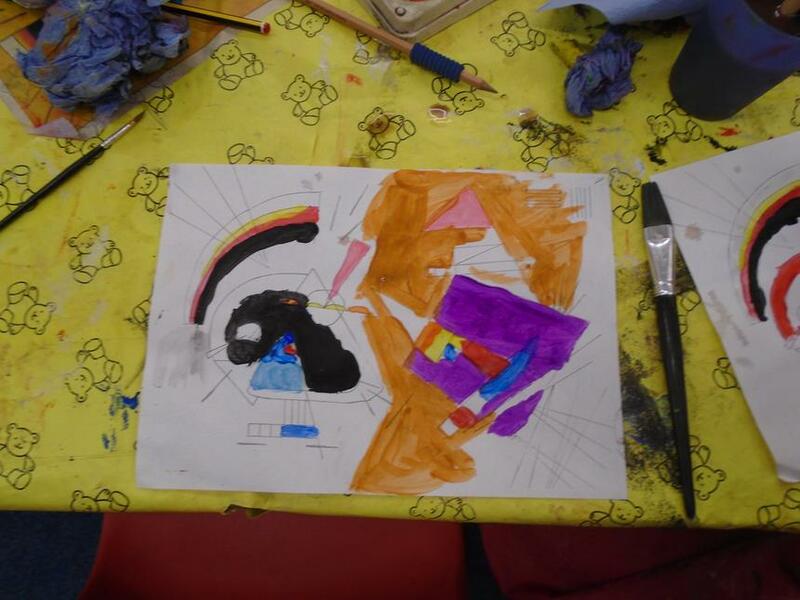 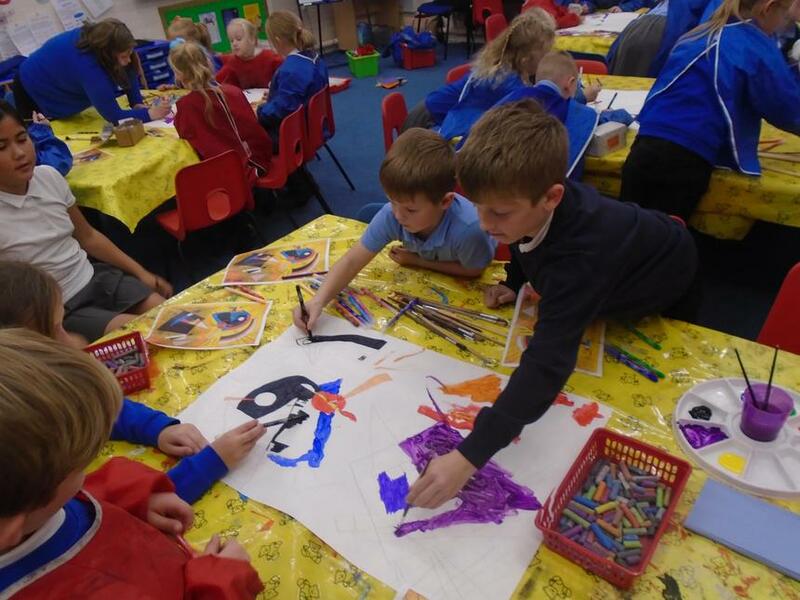 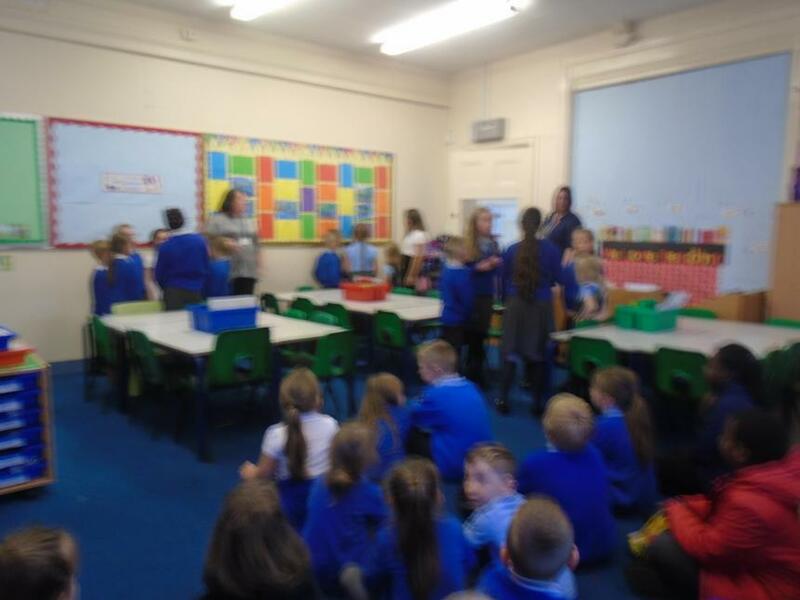 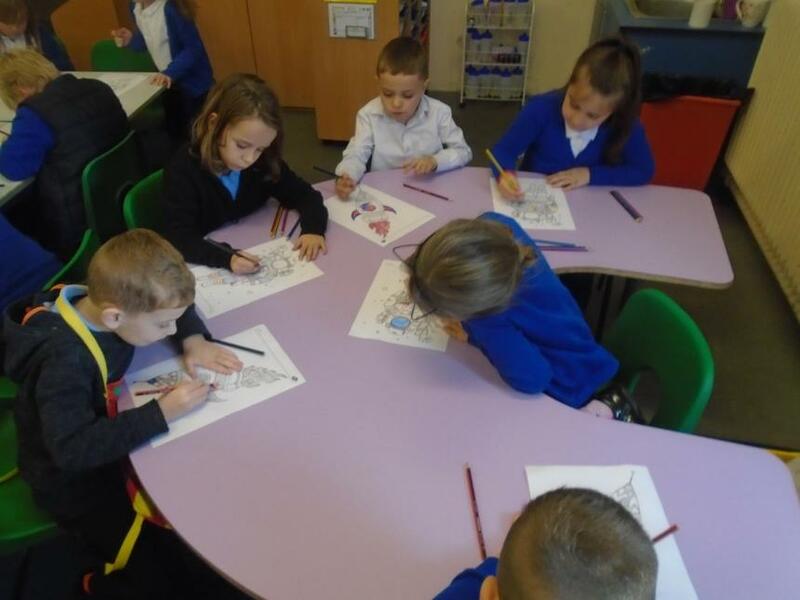 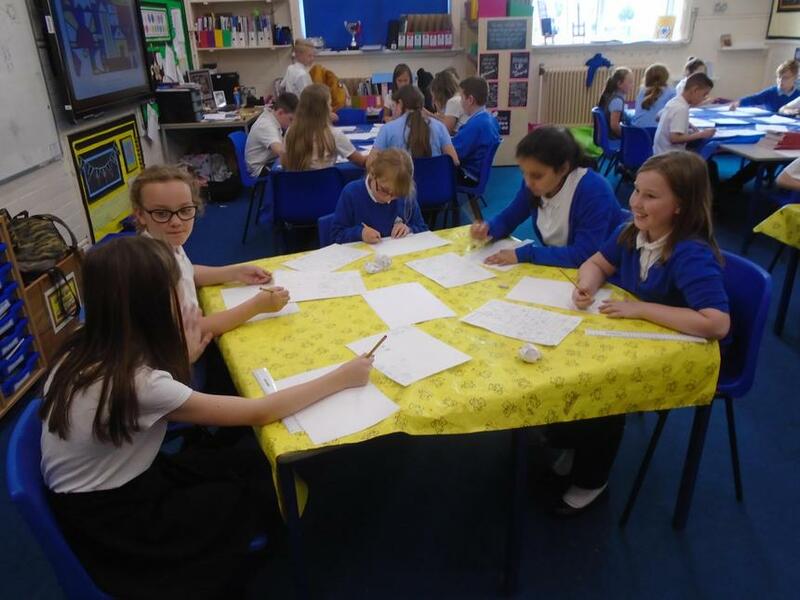 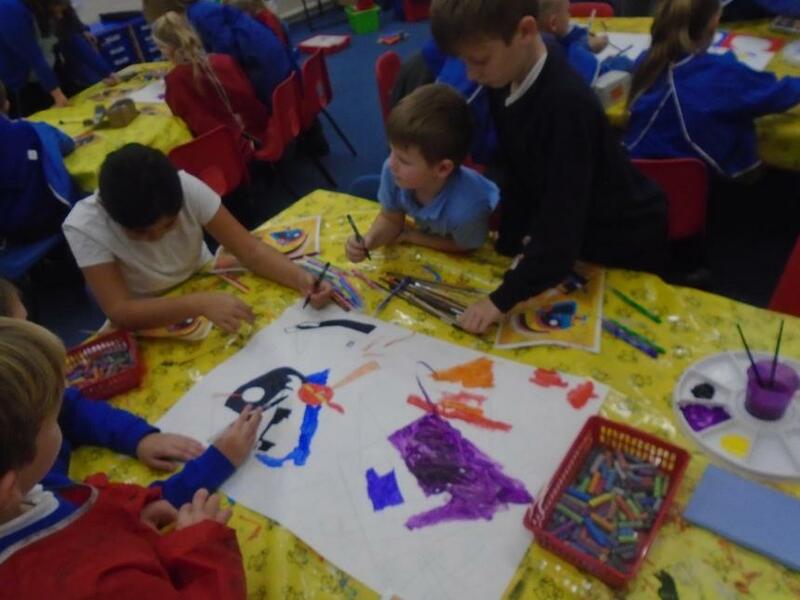 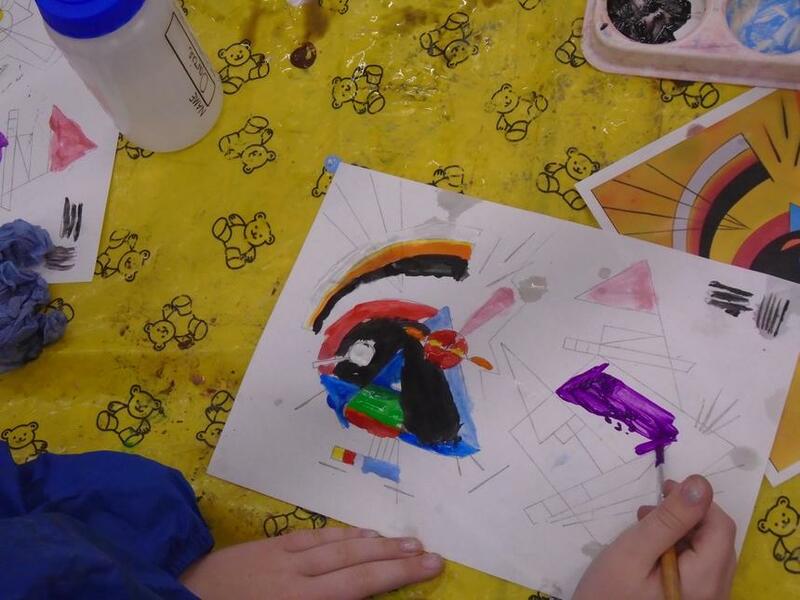 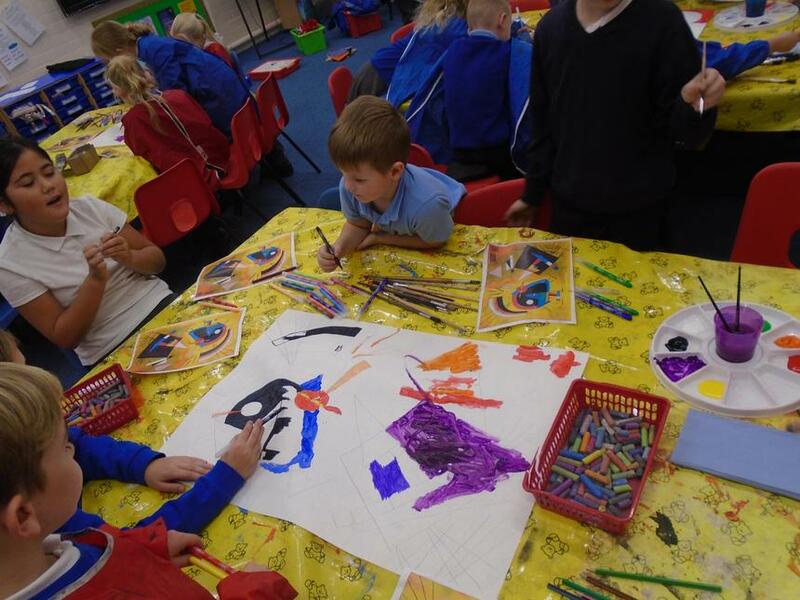 During Rainbow Time, Miss Carter has worked with children throughout the school studying Kandinsky and choosing one of his pieces of work to recreate. 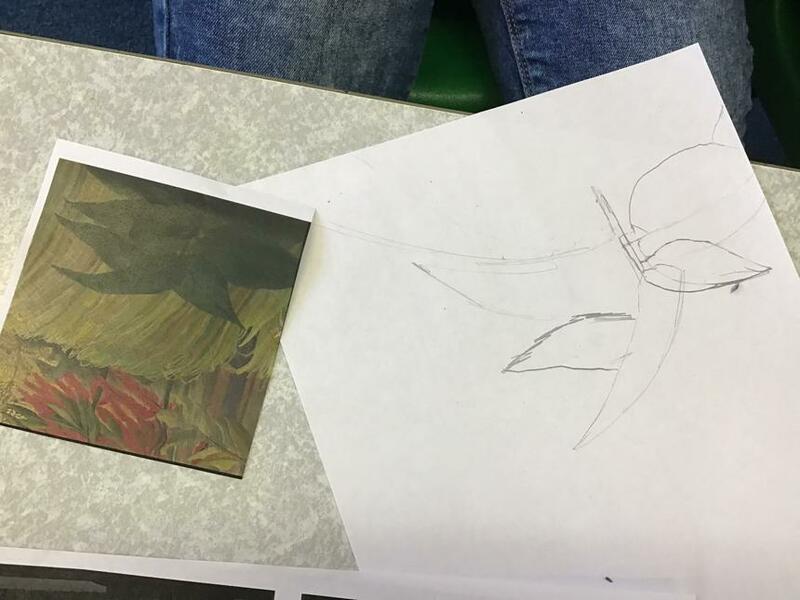 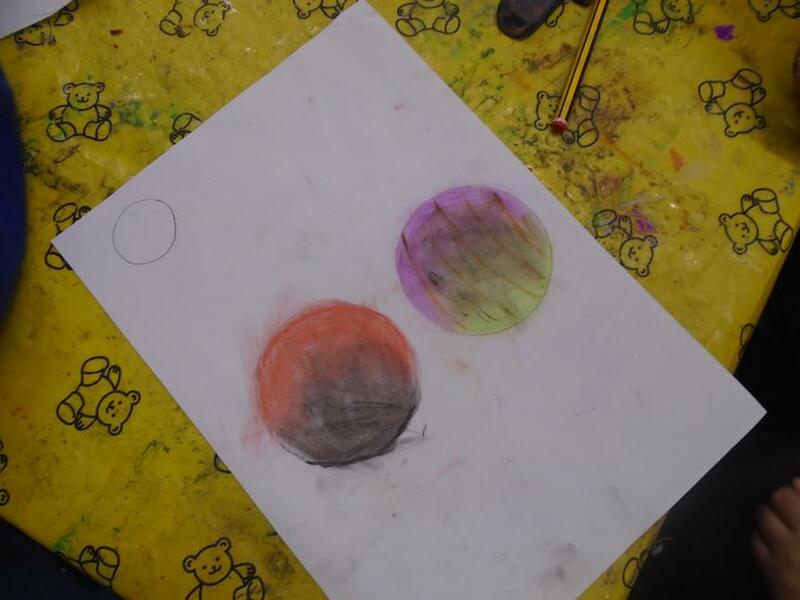 They have recreated the art in different materials such as pencils, pastels and paints, while learning different techniques for using these materials. 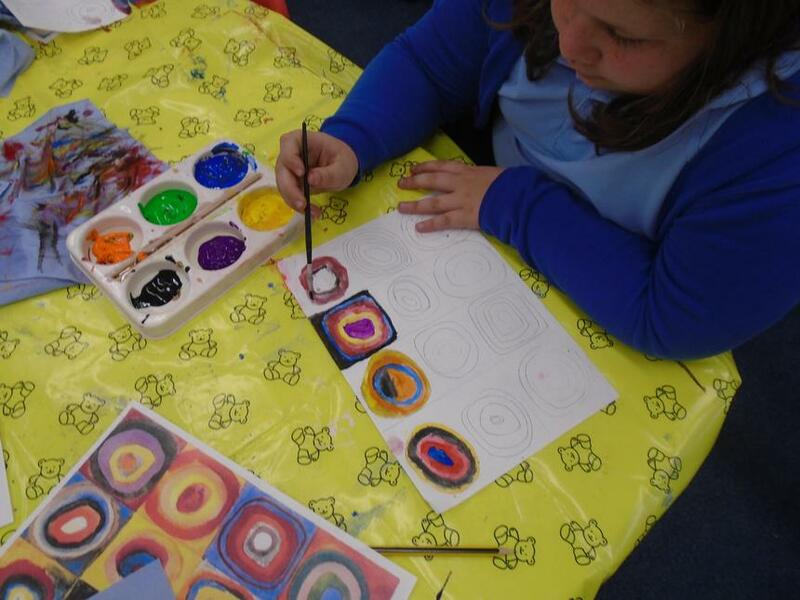 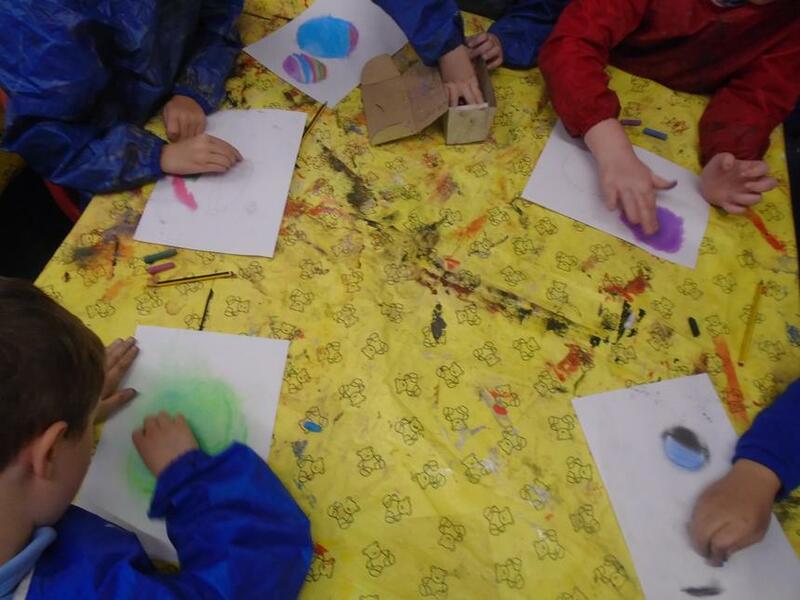 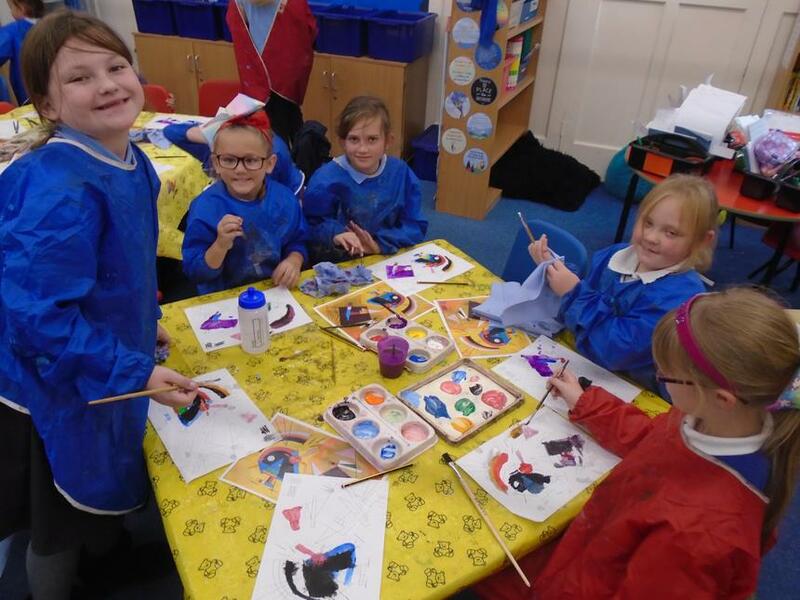 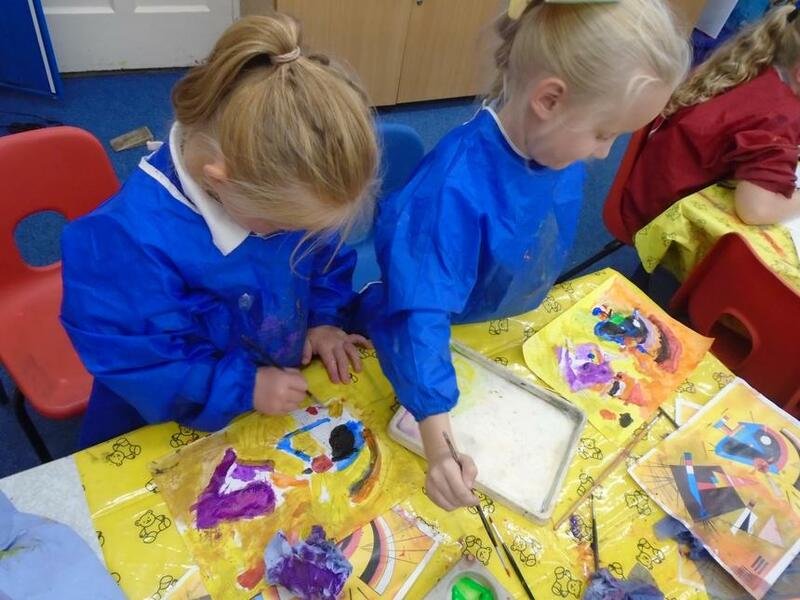 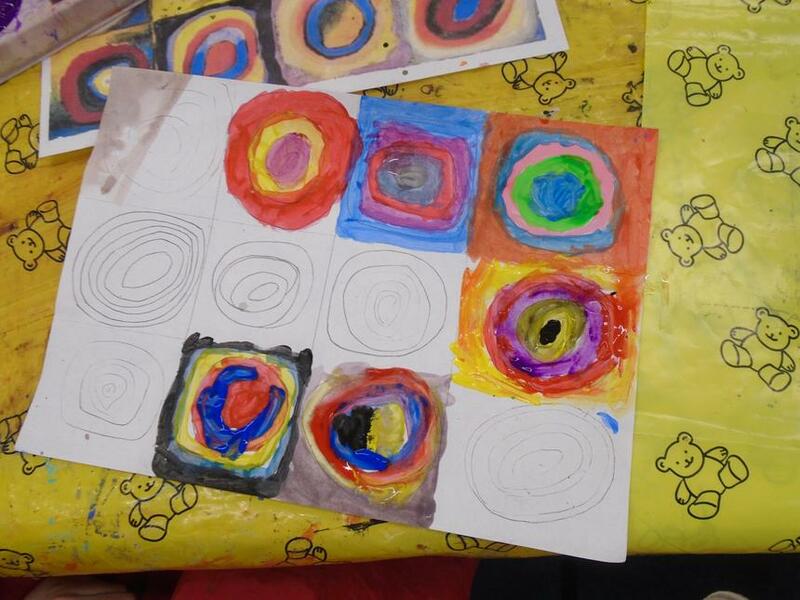 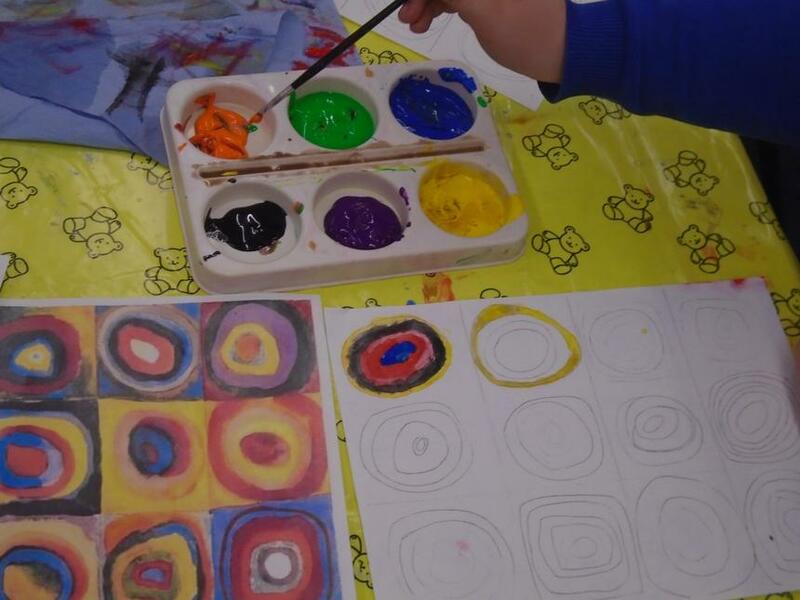 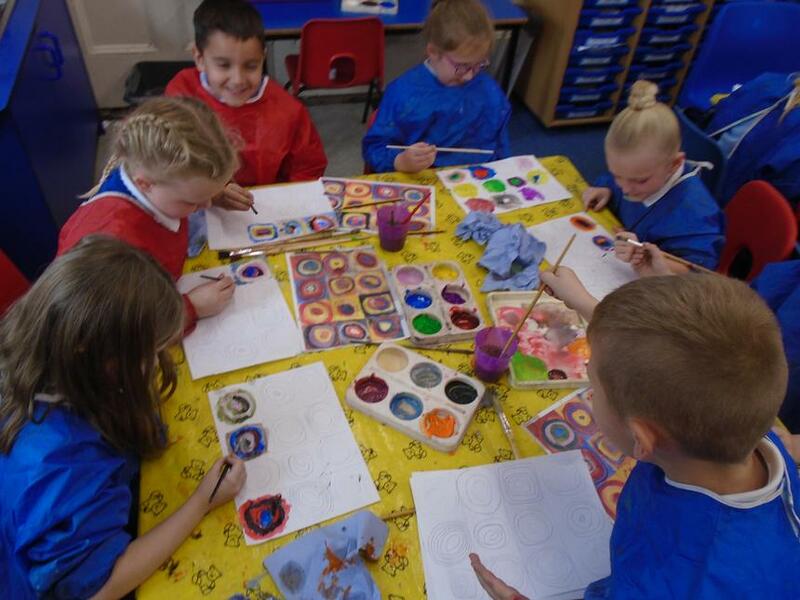 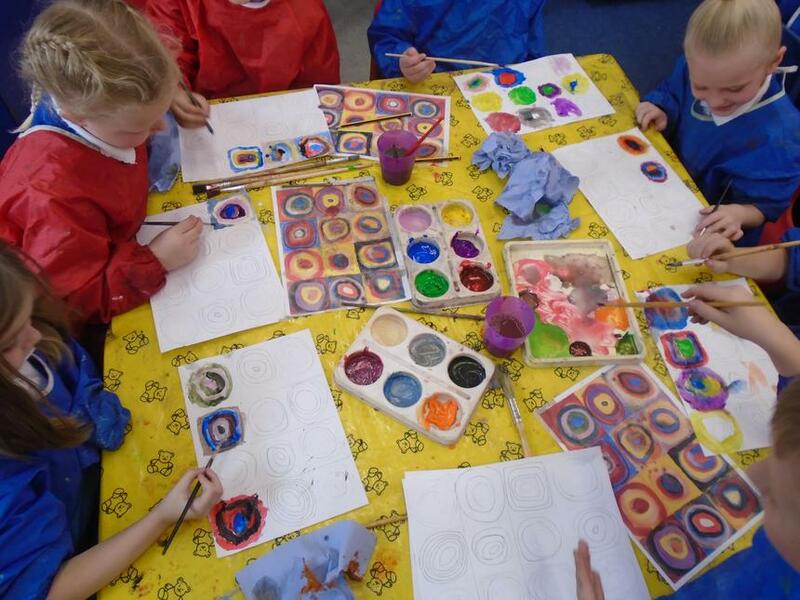 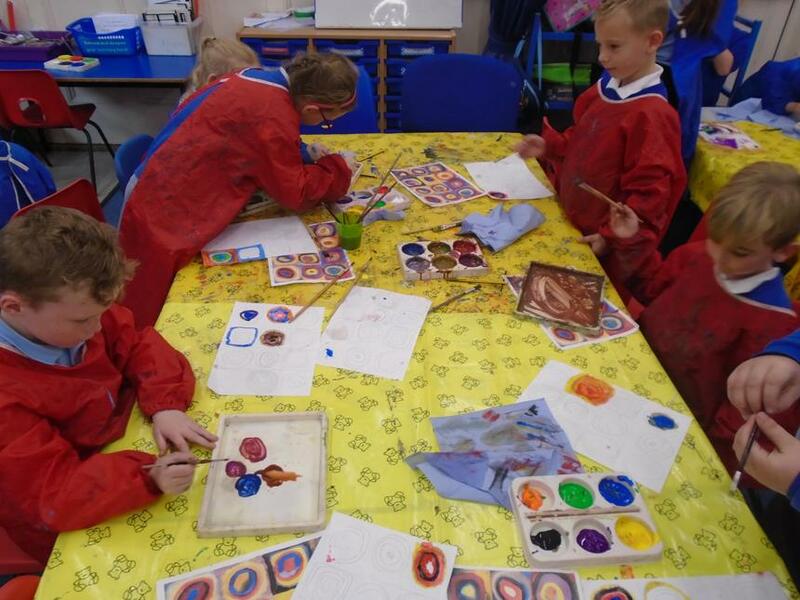 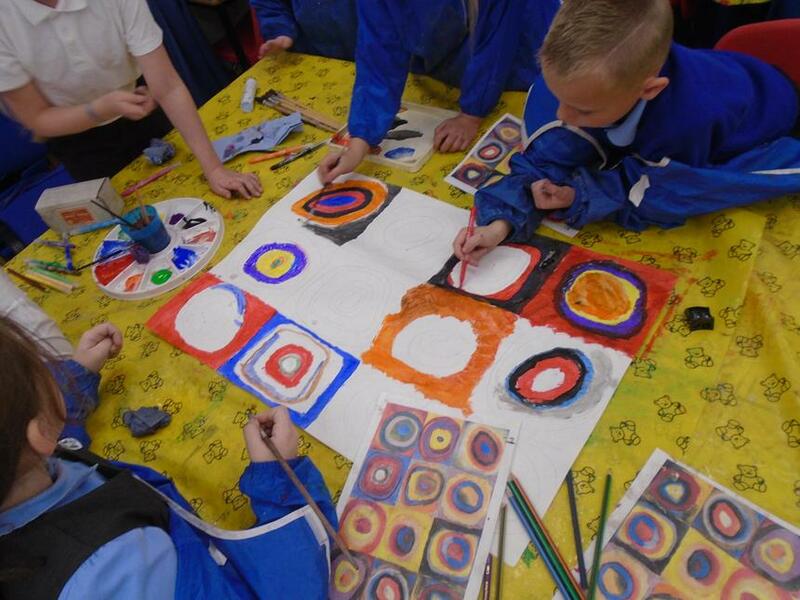 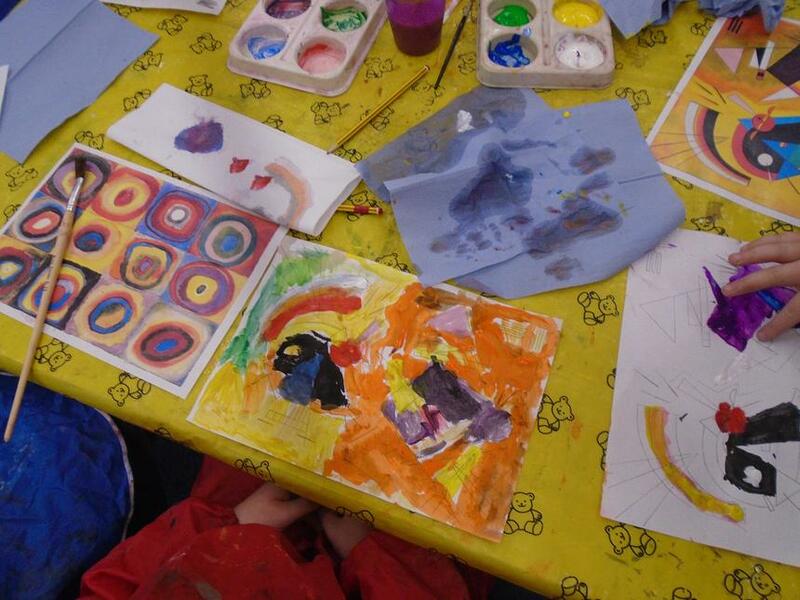 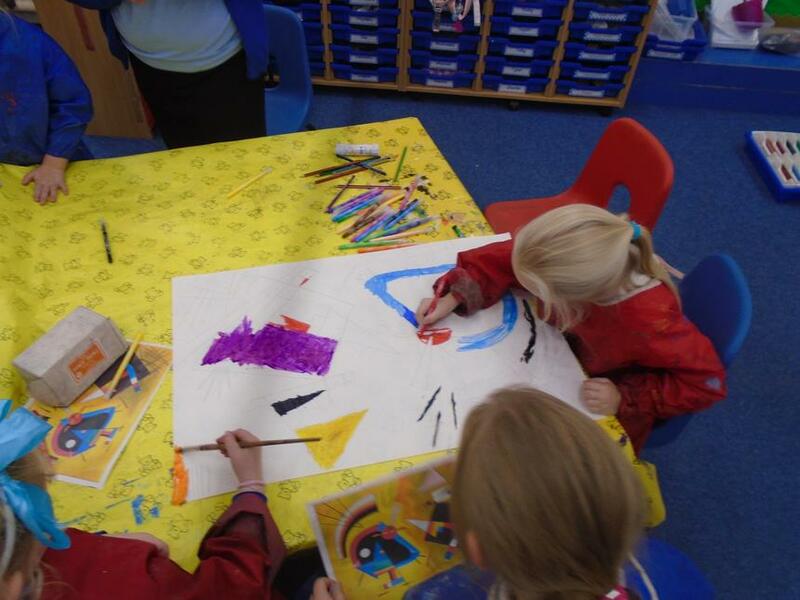 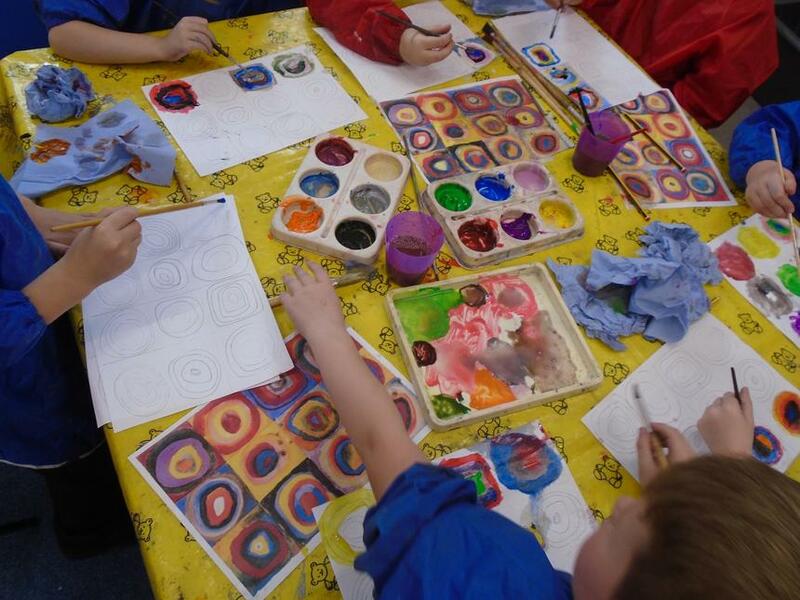 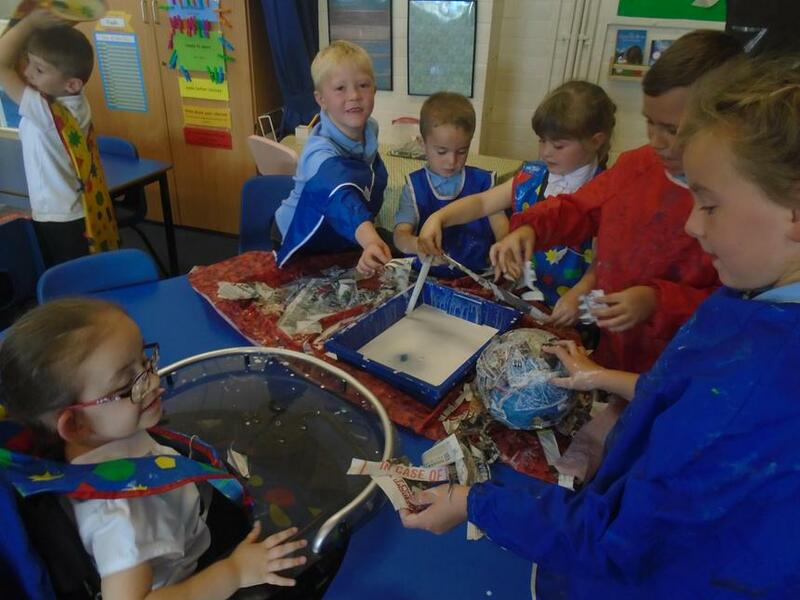 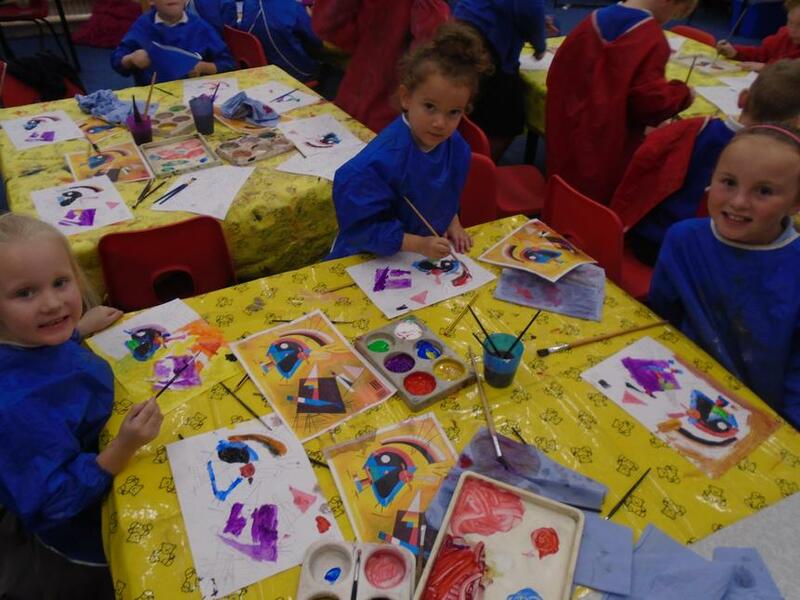 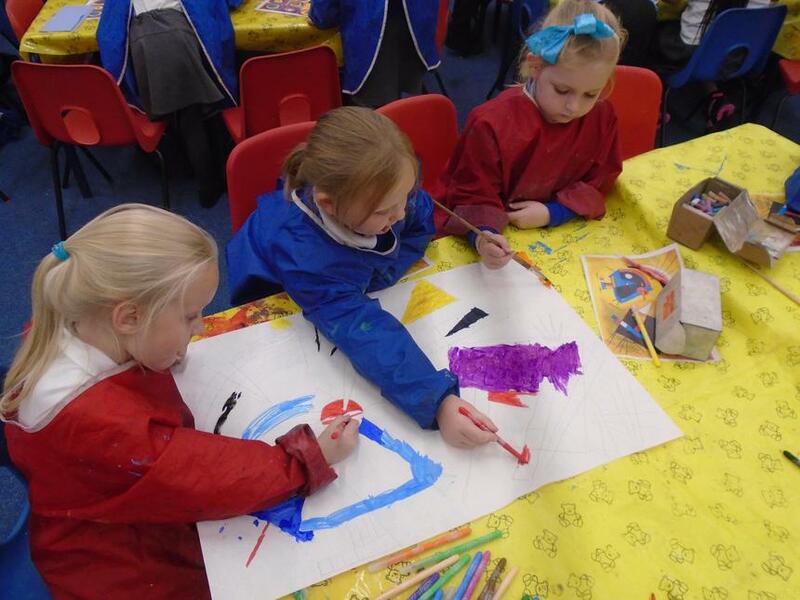 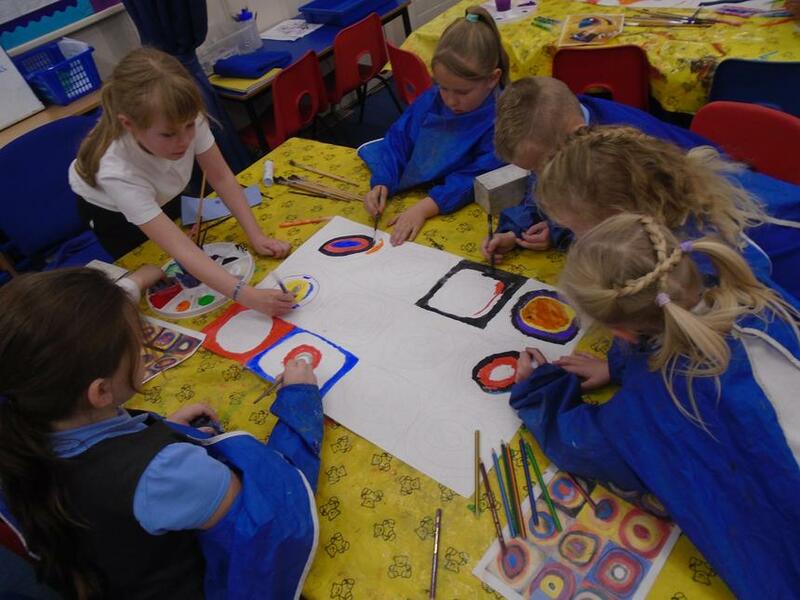 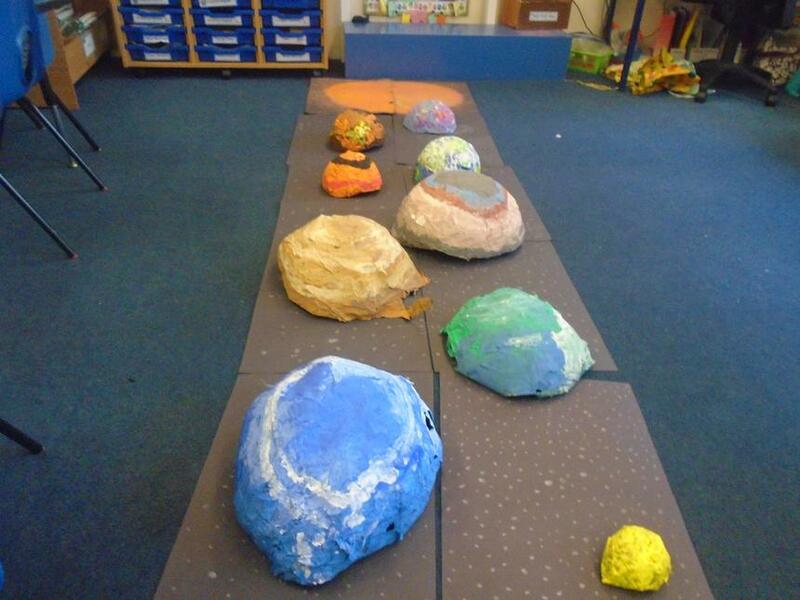 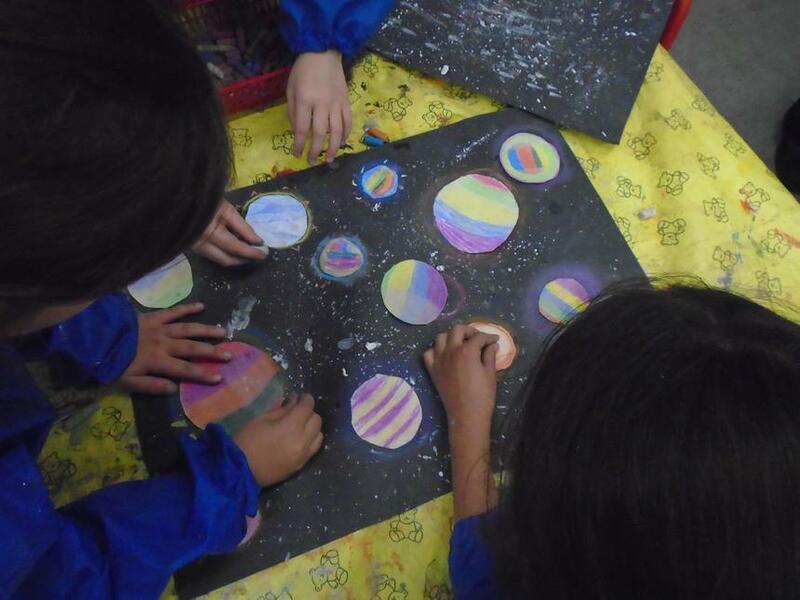 Year 2 have been experimenting with colour mixing and also with sketching techniques to help us represent the planets. 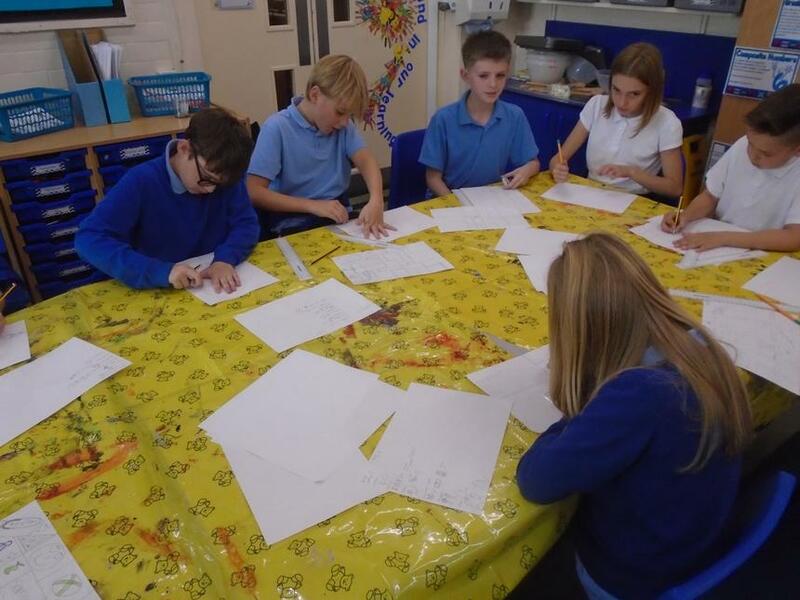 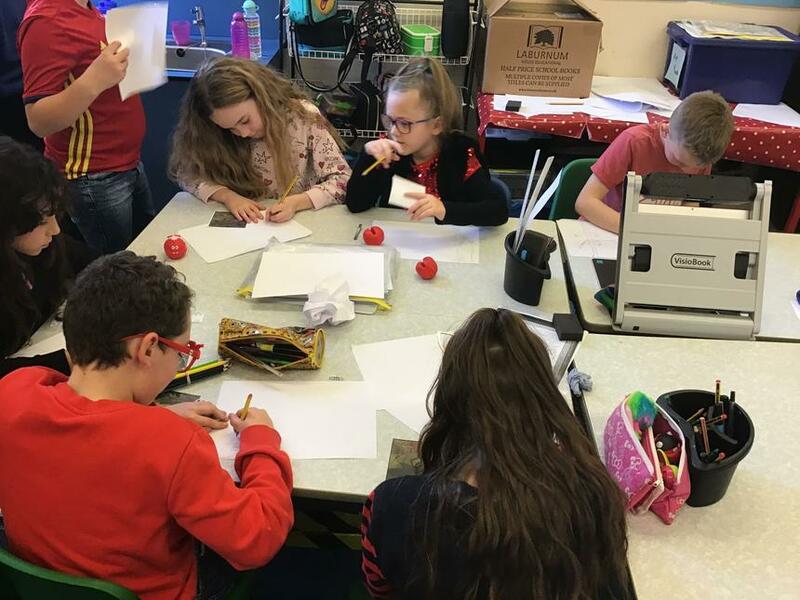 We have explored how to sketch a sphere using the techniques of hatching and cross hatching to help us shade. 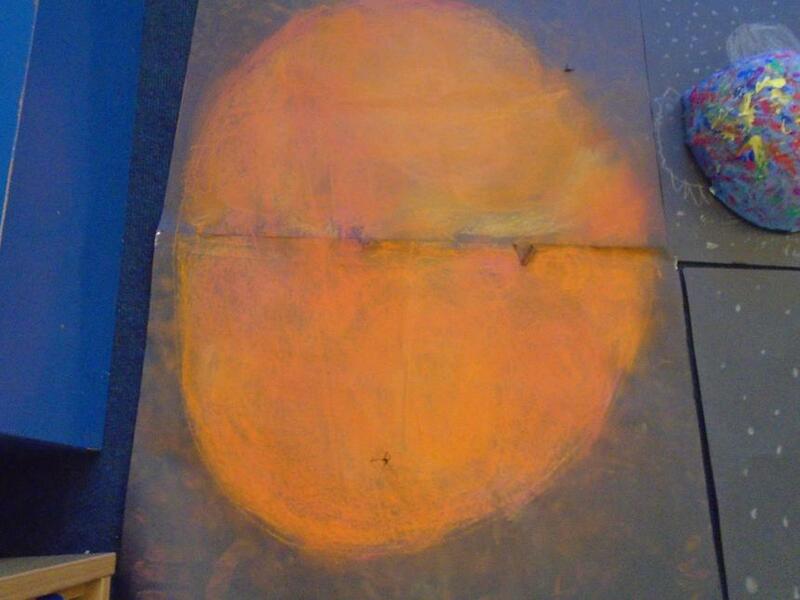 We have also explored creating colours that represent the planets. 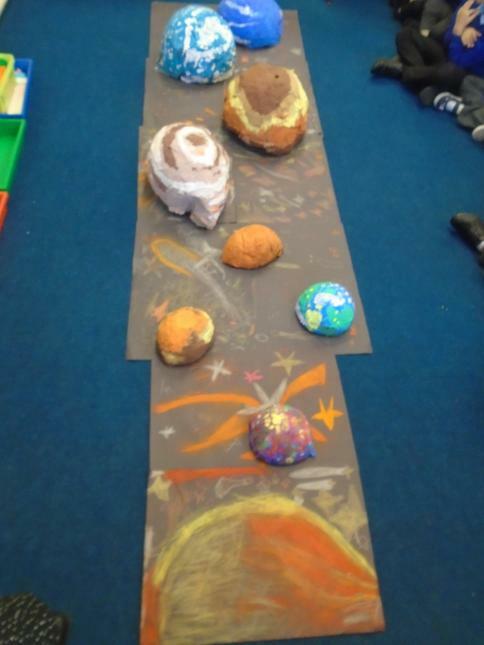 Our next step is to represent the planets in a variety of media. 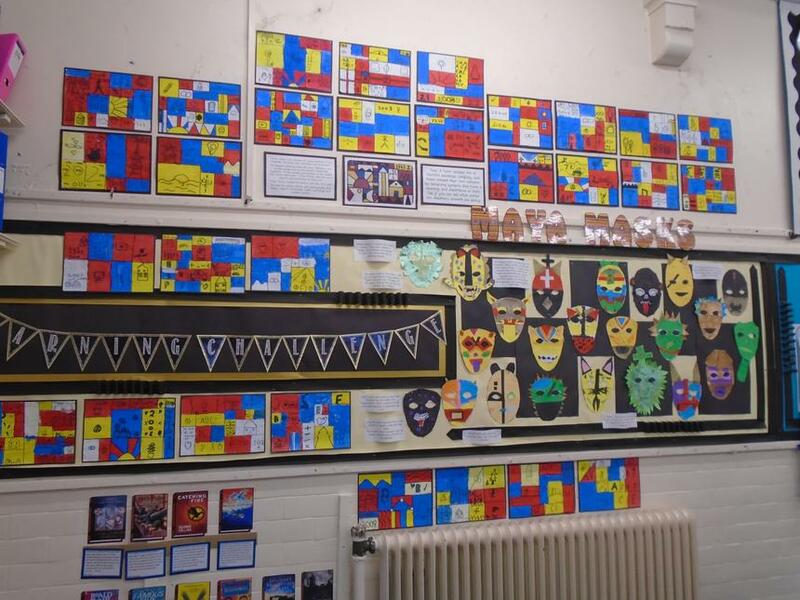 Come and have a look at our finished works of art in the KS1 corridor! 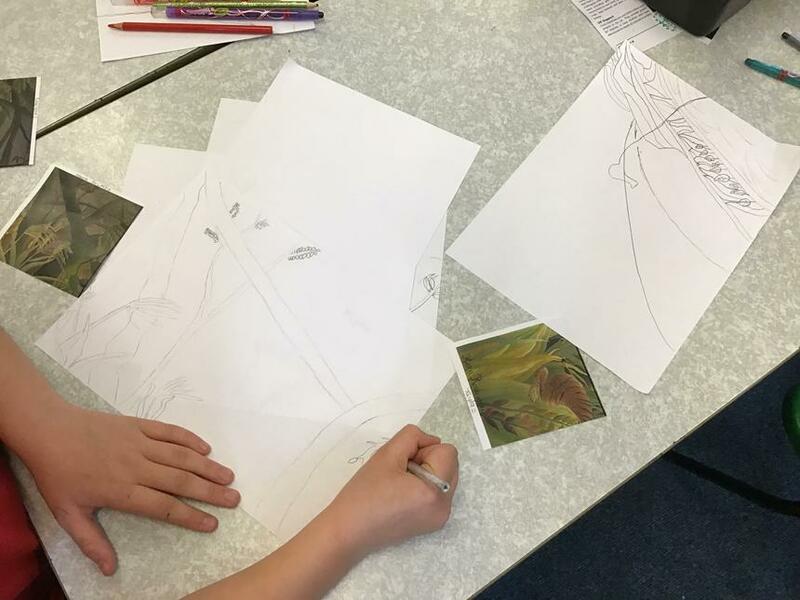 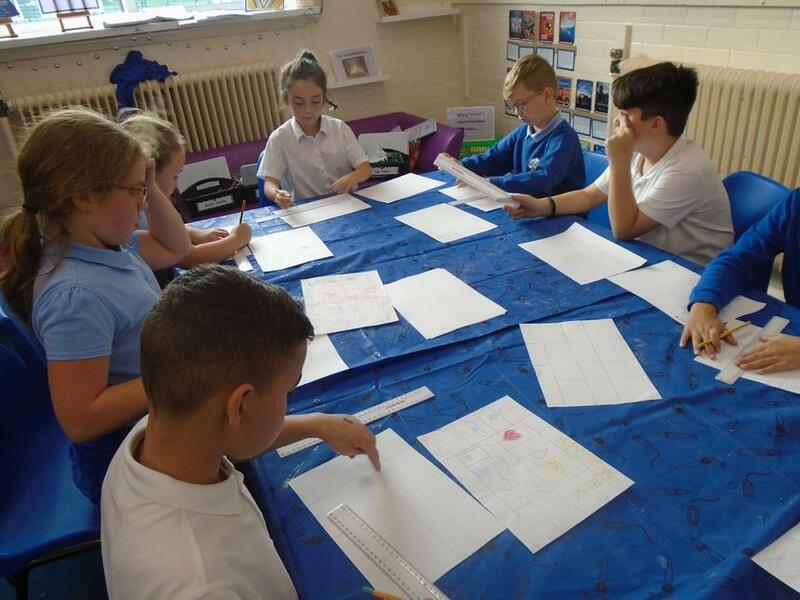 Year 6 have been looking at artwork from South and Central America - in line with their current topic The Maya Civilisation. 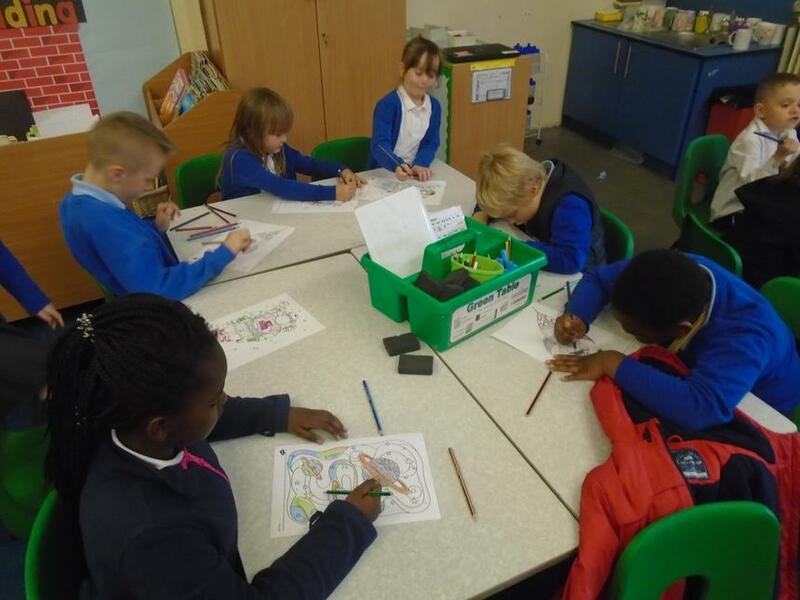 They have been finding out about Joaquin Torres Garcia. 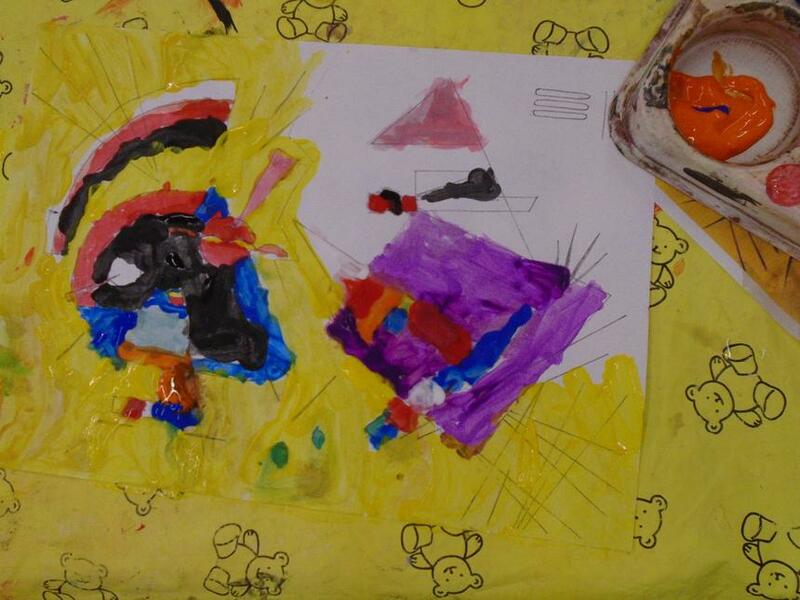 Torres Garcia was famous for using symbols in his artworks. 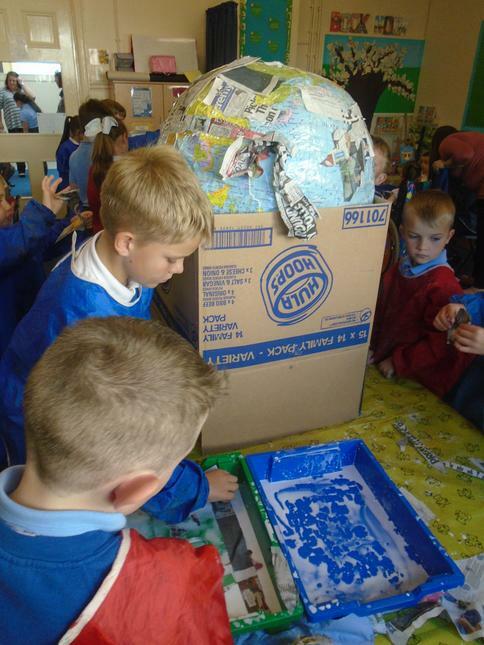 He made toys, paintings and sculptures. 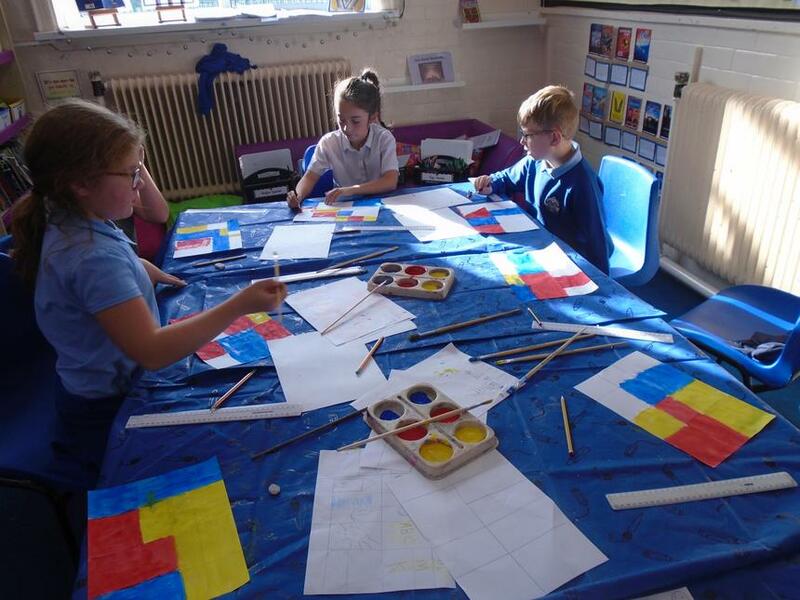 His biggest influences were the artist, Mondrian and ancient people such as the ancient Greeks and Egyptians. 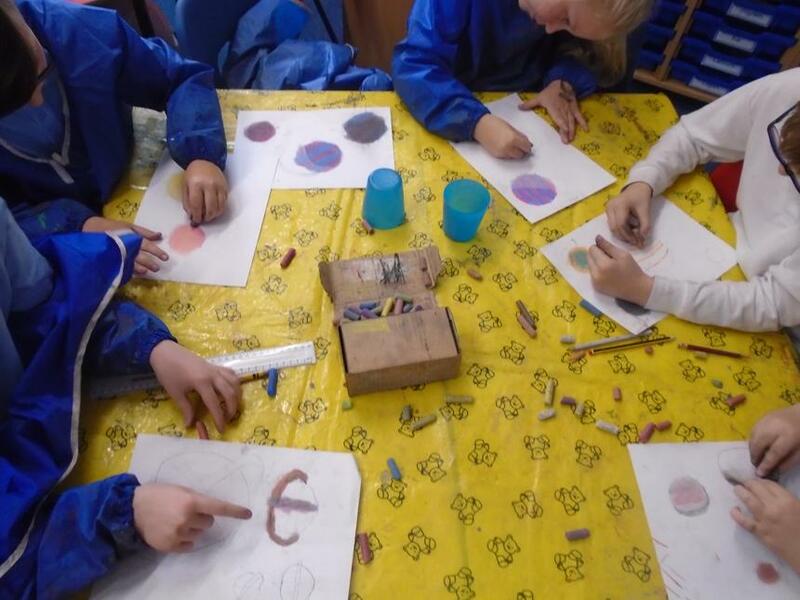 Ancient people used symbols to tell stories and record information. 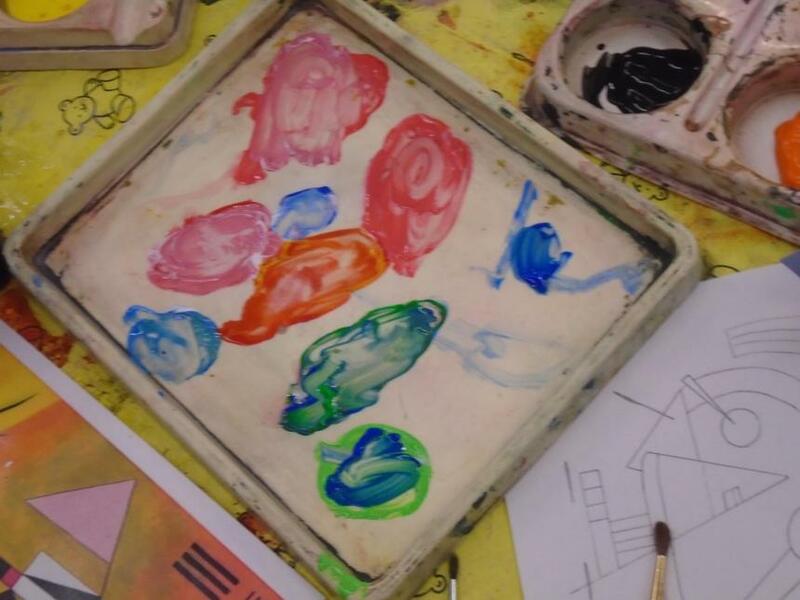 Torres Garcia used this as a way of communicating his ideas too. 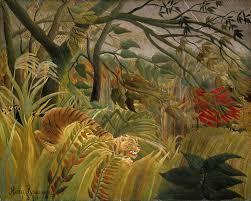 He preferred earthy colours and used symbols from music, religion, horoscopes, traffic, technology and ancient cultures. 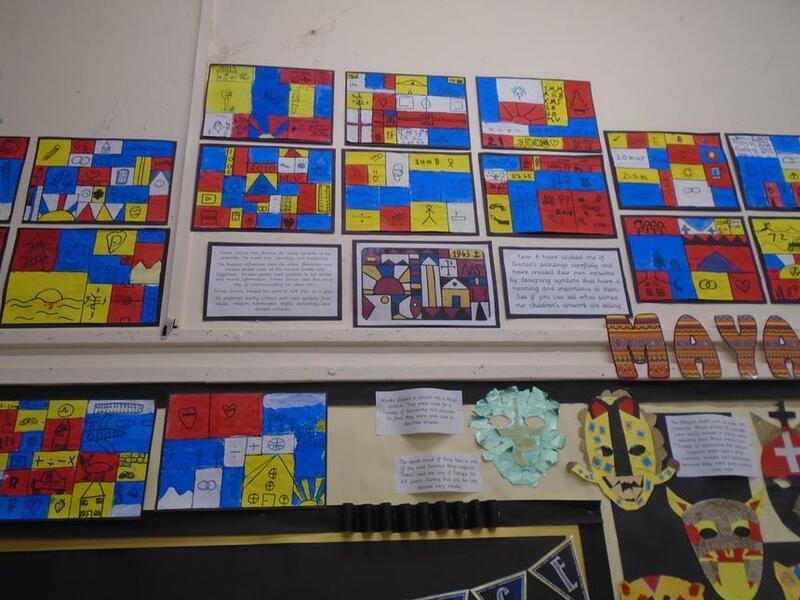 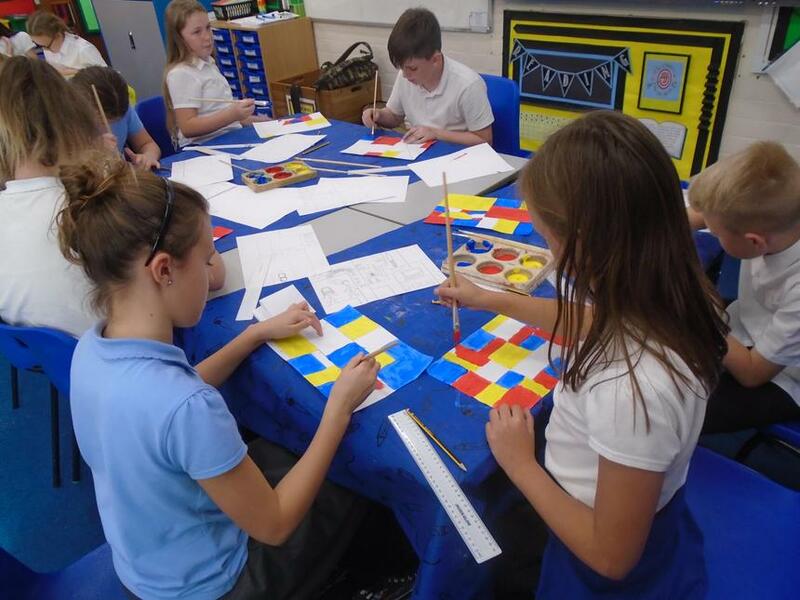 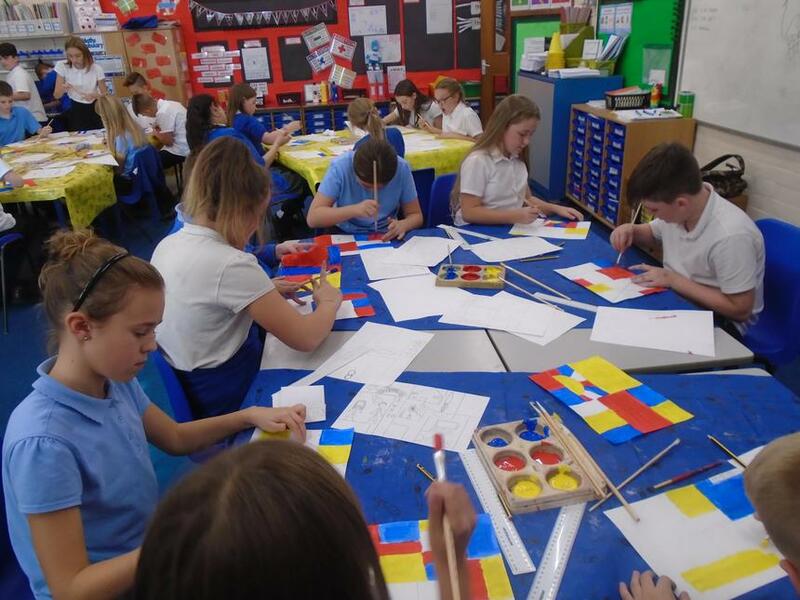 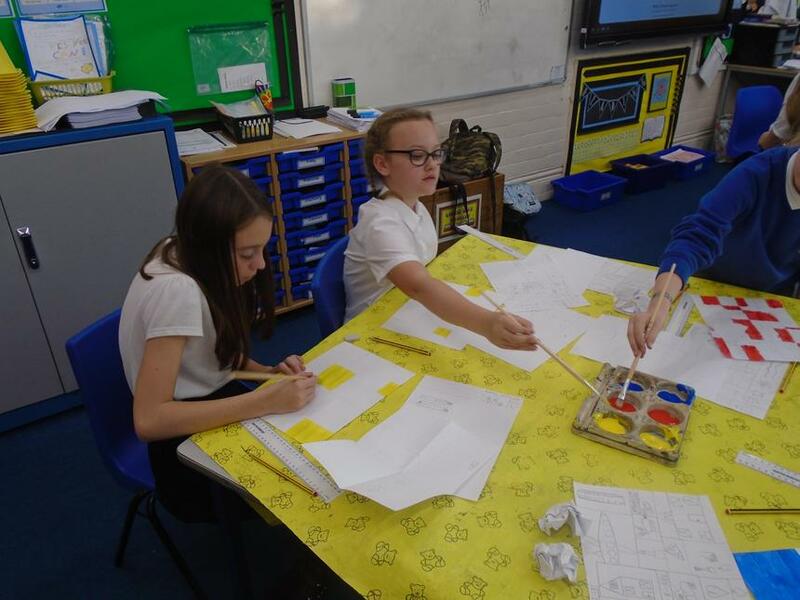 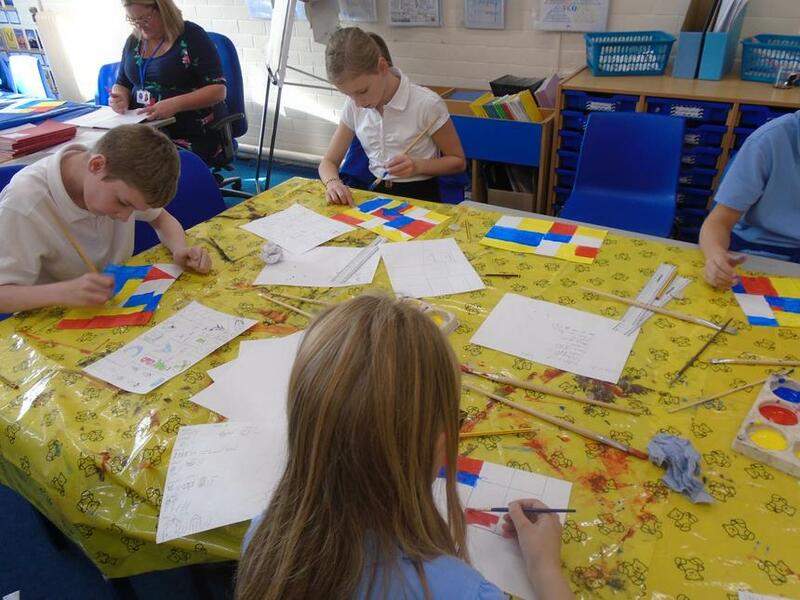 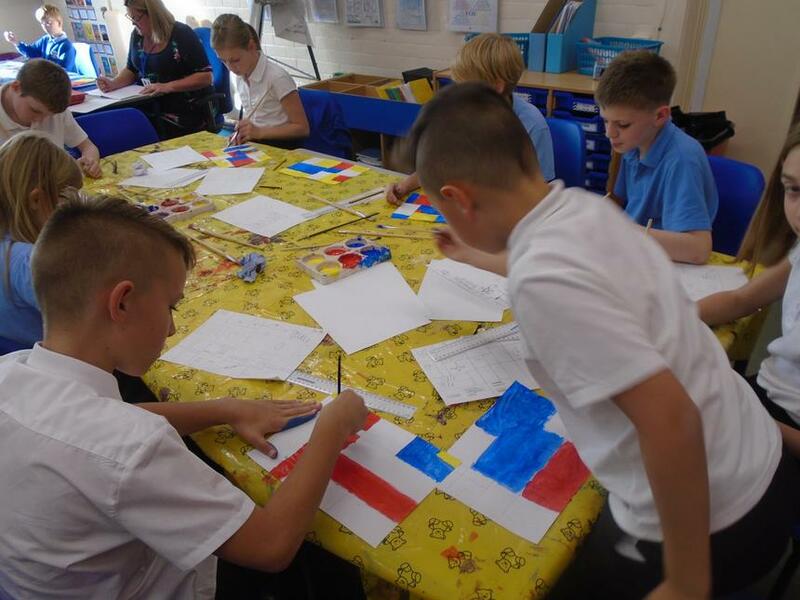 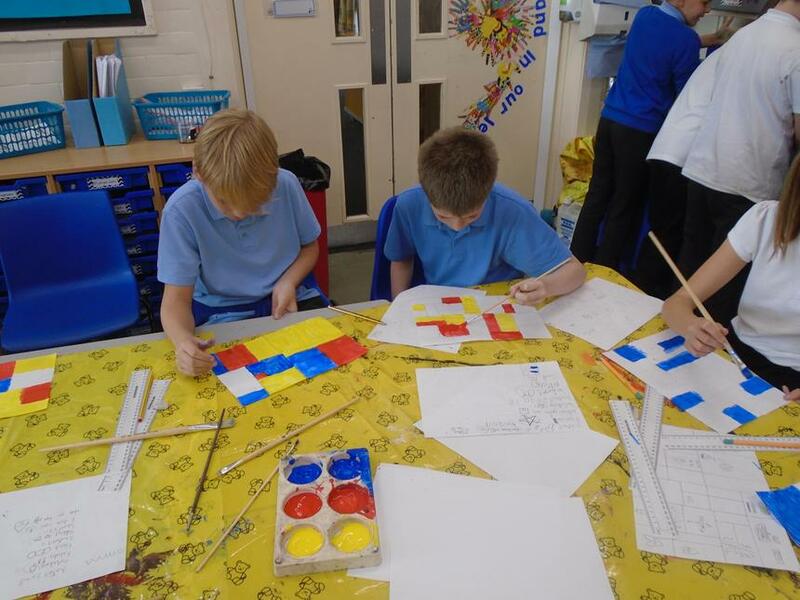 Our children have been recreating a piece of work created by Garcia that was hugely influenced by Mondrian. 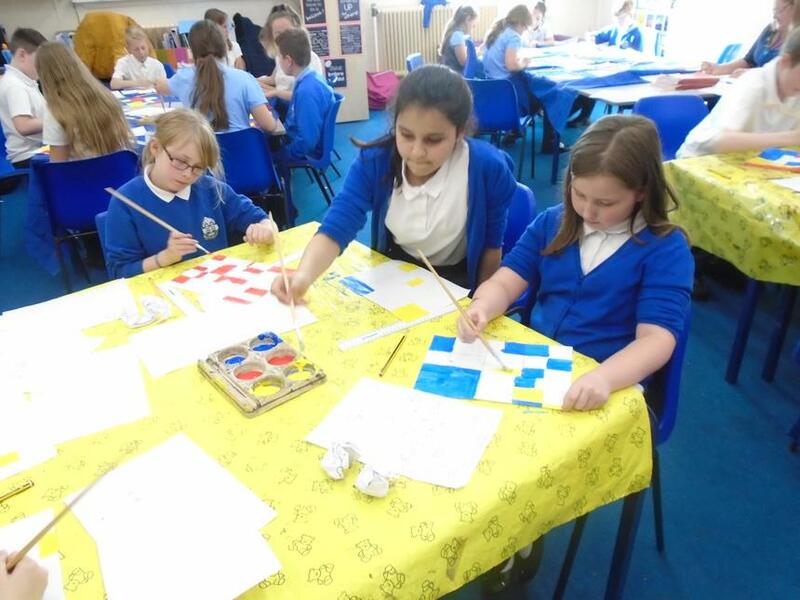 They have made their artwork personal to them by creating their own symbols for things that are important to them. 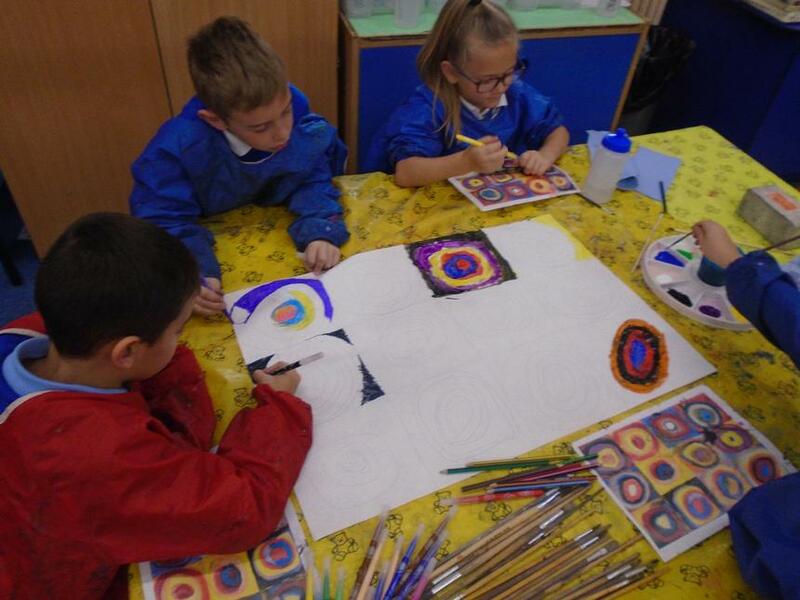 Watch this space for our finished masterpieces. 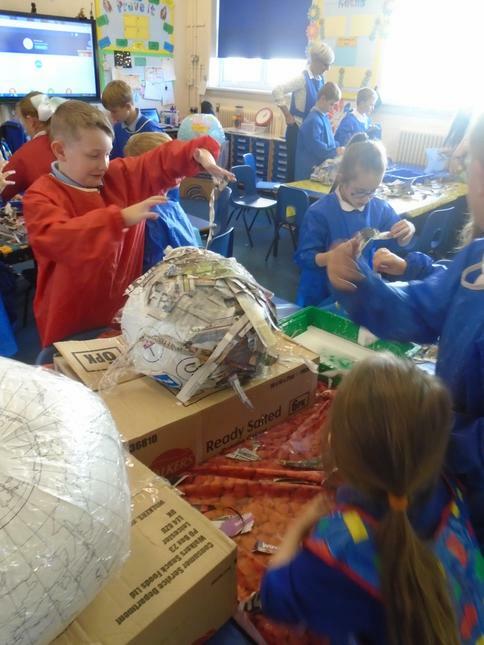 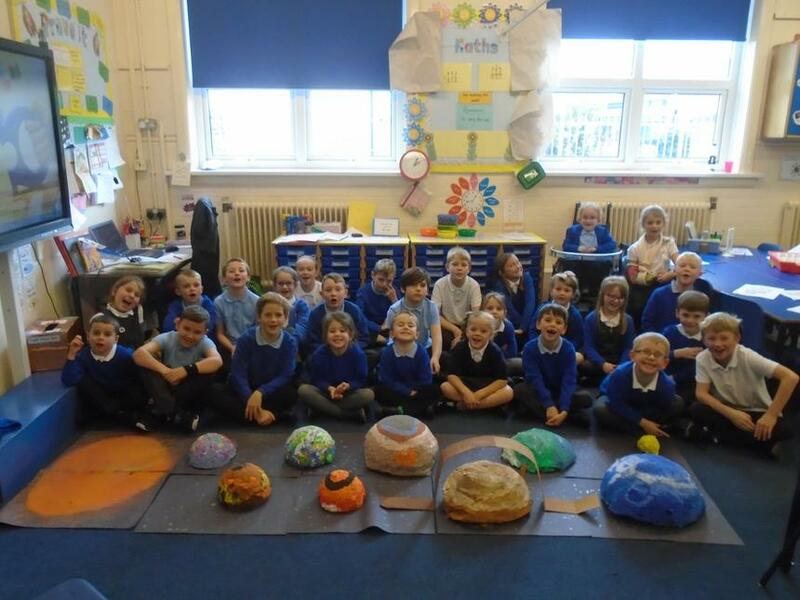 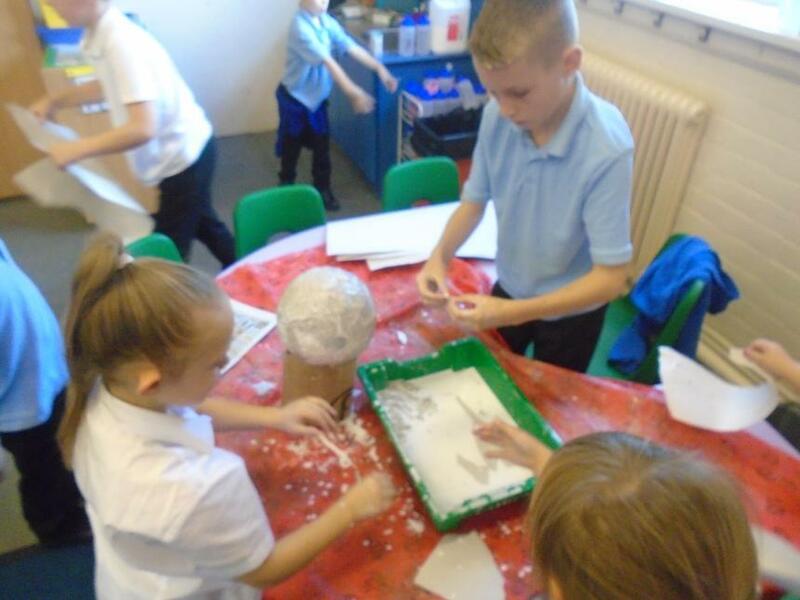 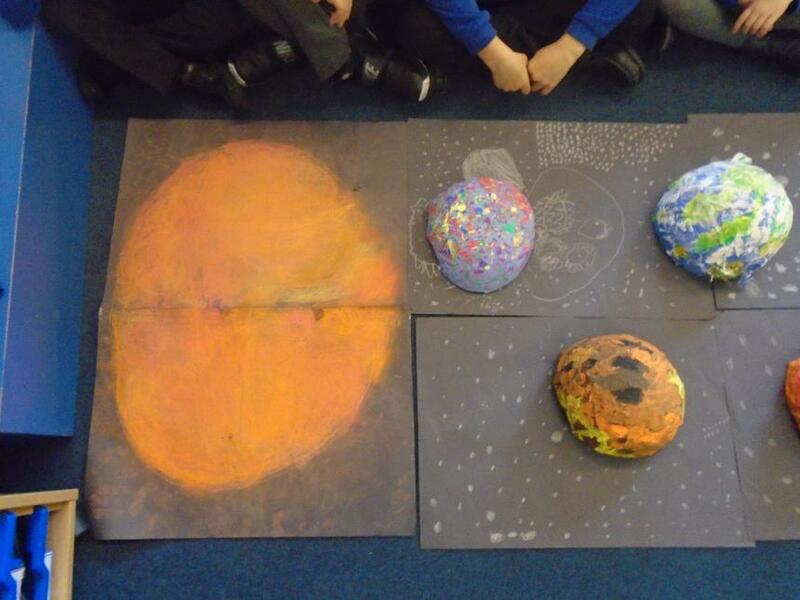 Year 5 have been busy learning about space. 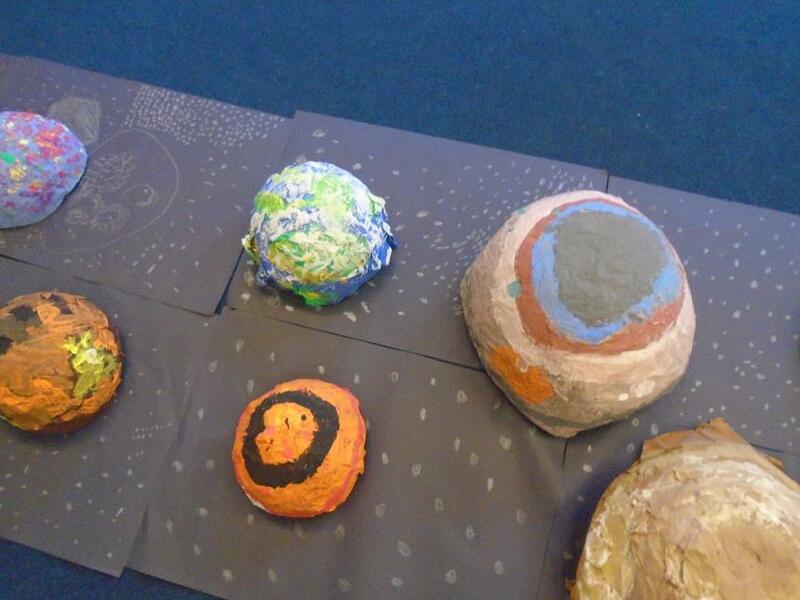 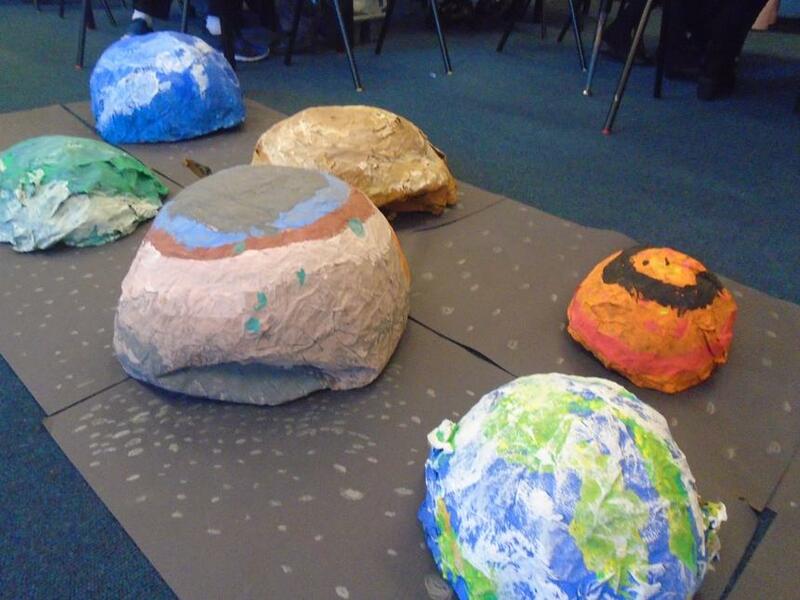 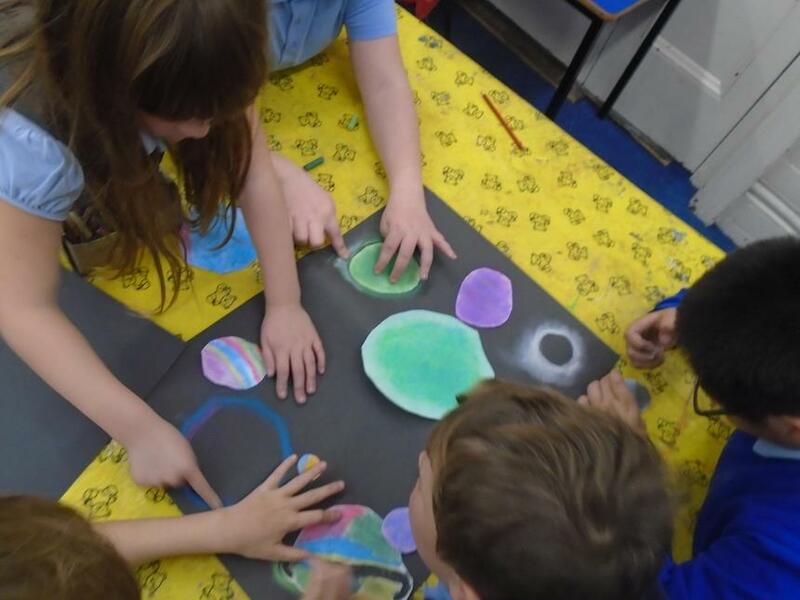 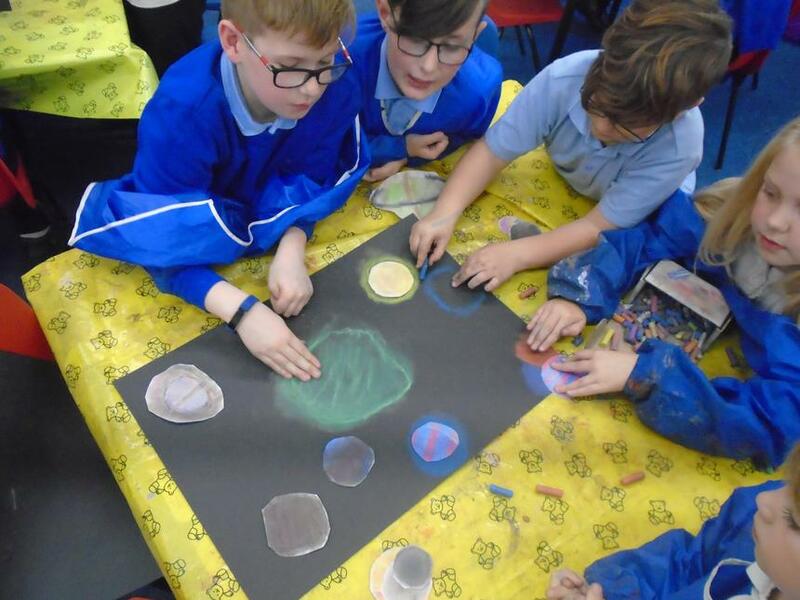 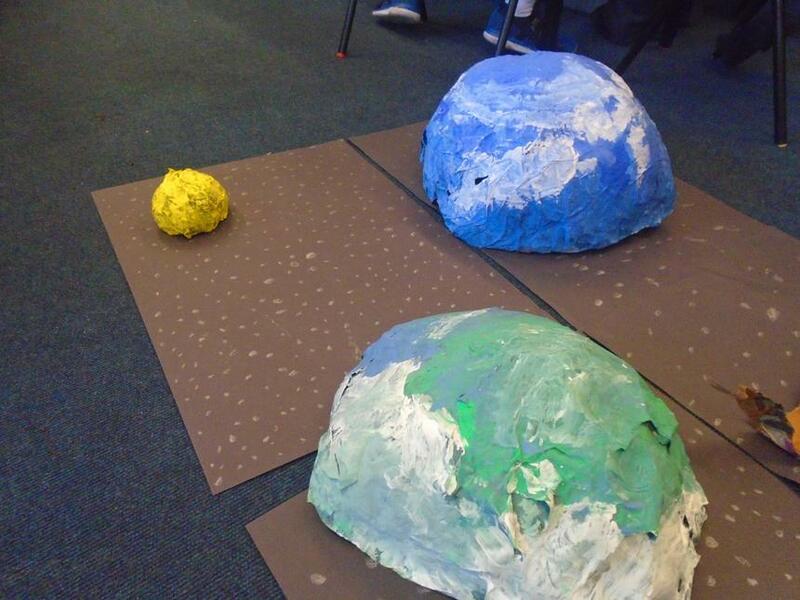 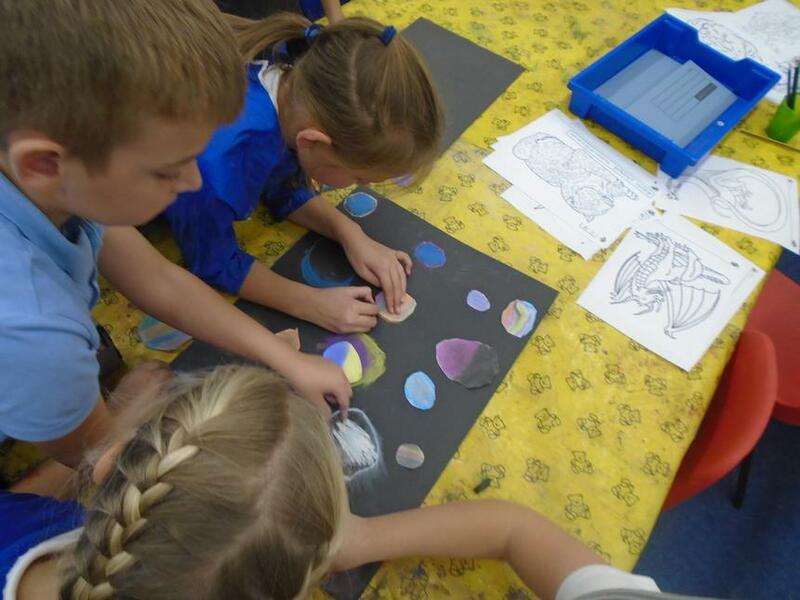 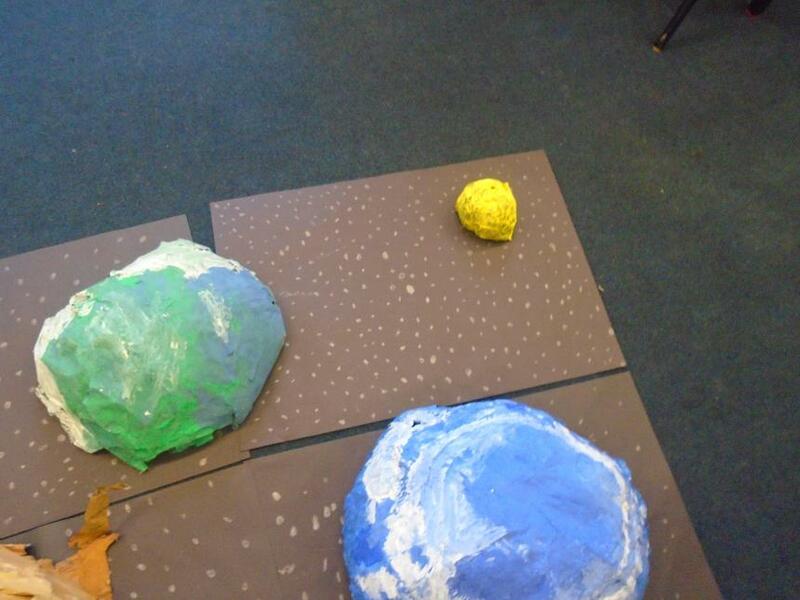 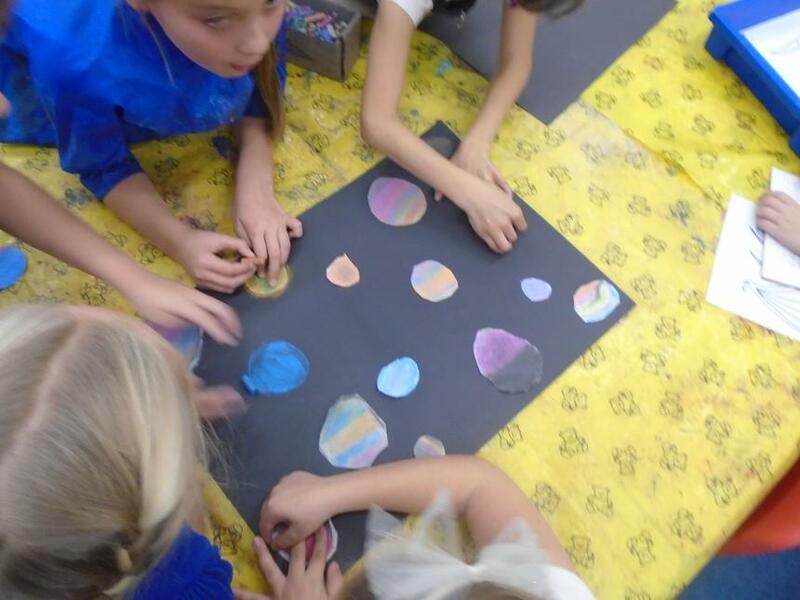 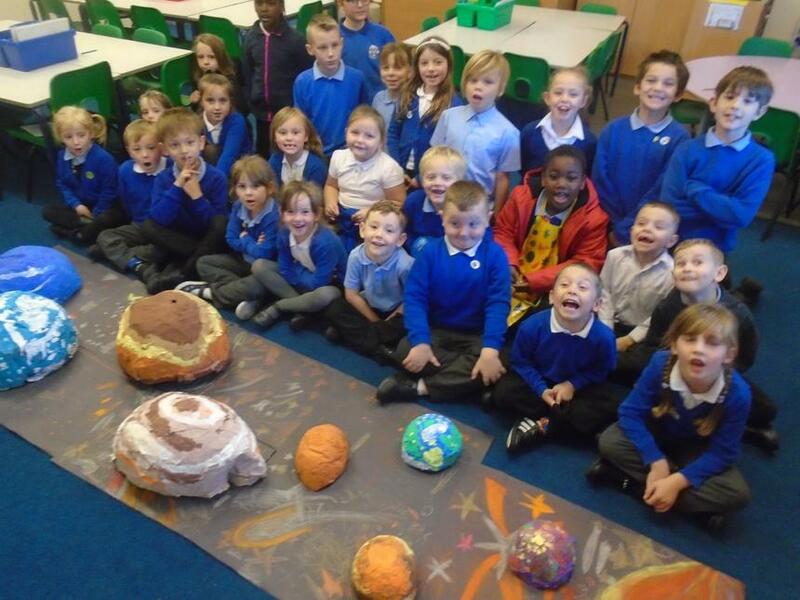 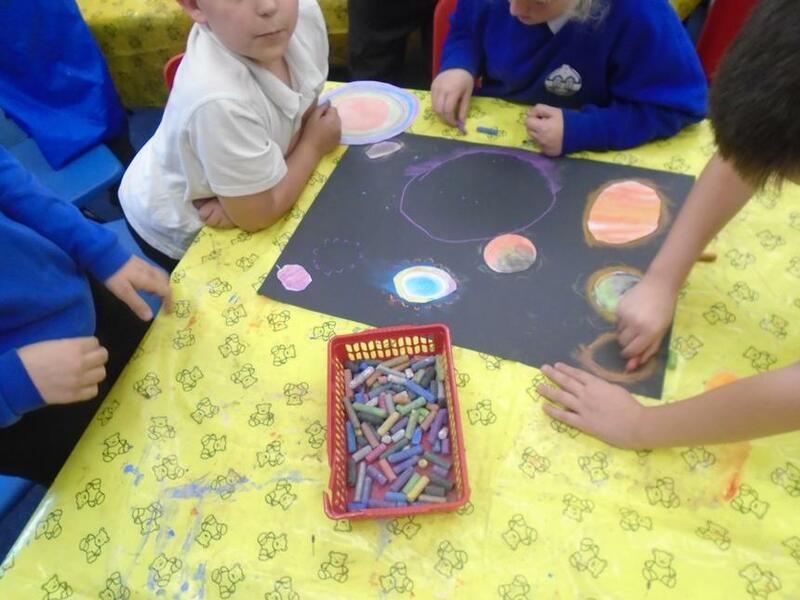 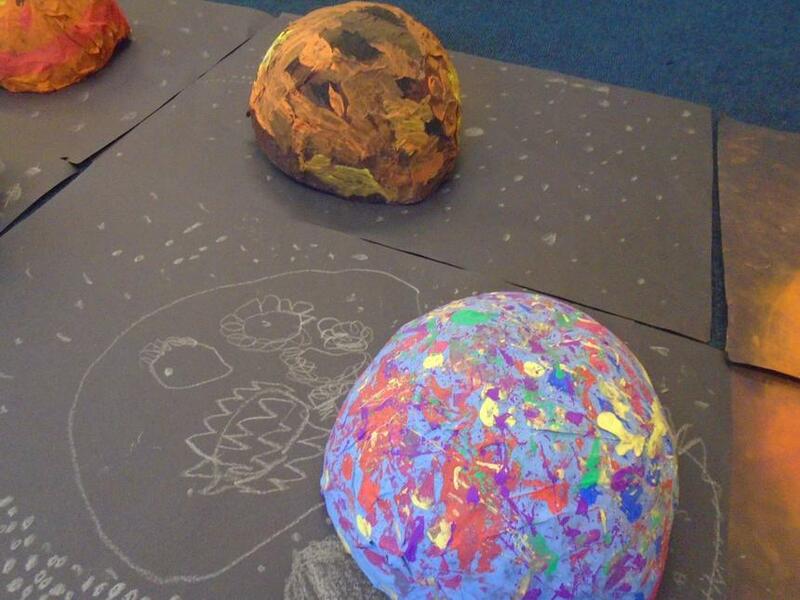 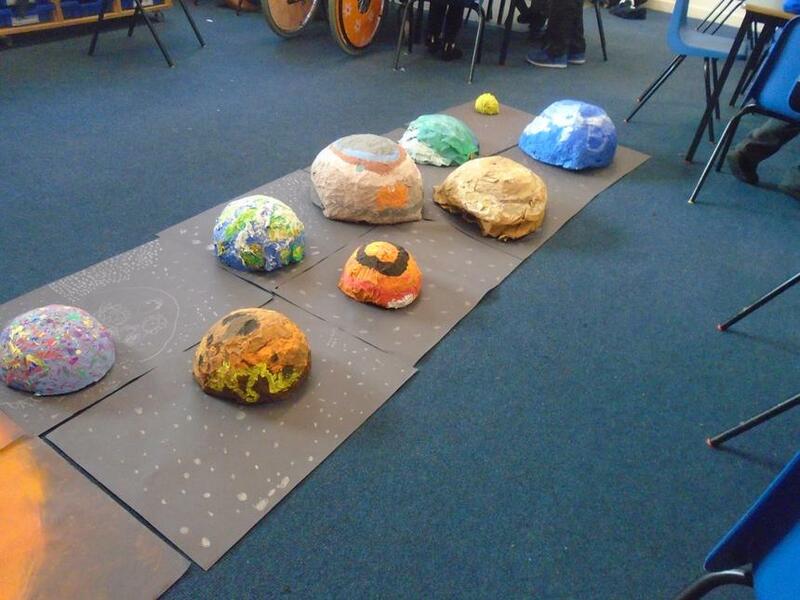 We created our own galaxies by designing our own planets using pastels and crayons. 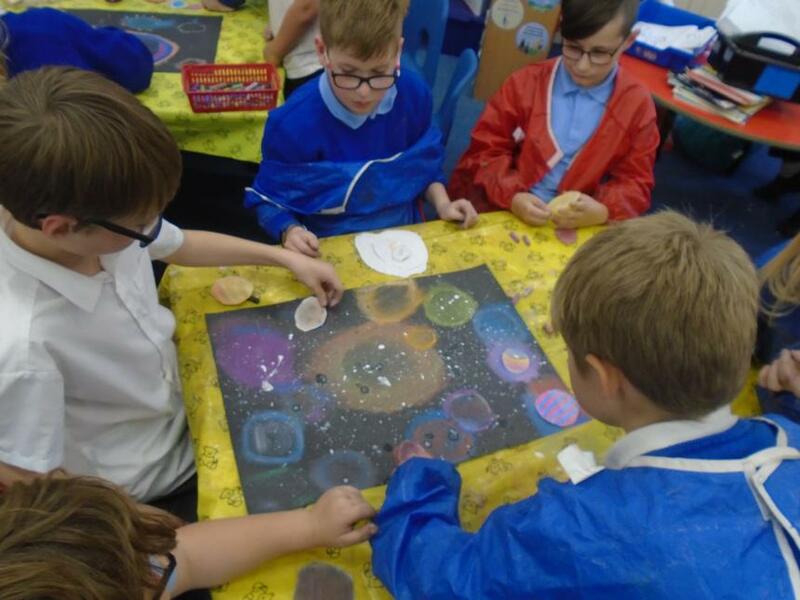 Then we used paint to create texture and the effect of stars.